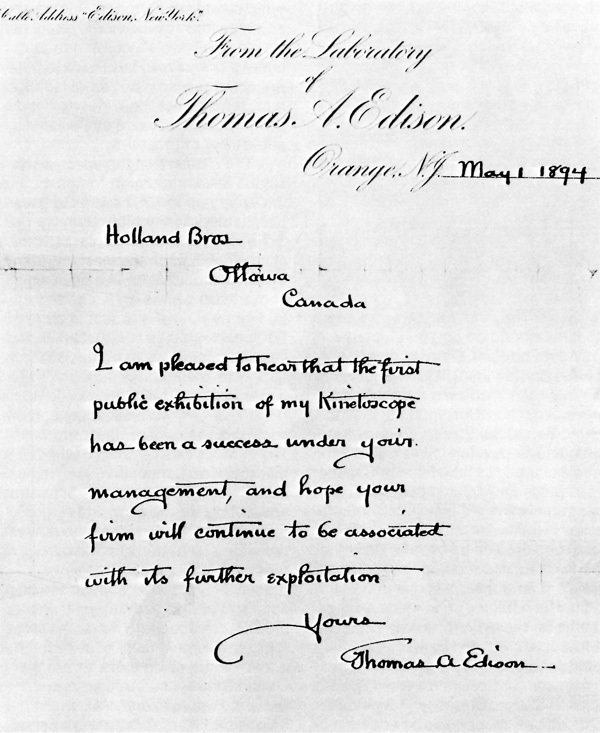 3 Edison's letter to the Holland Brothers. 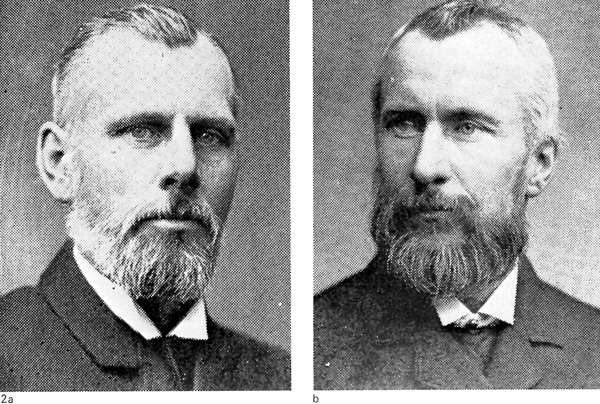 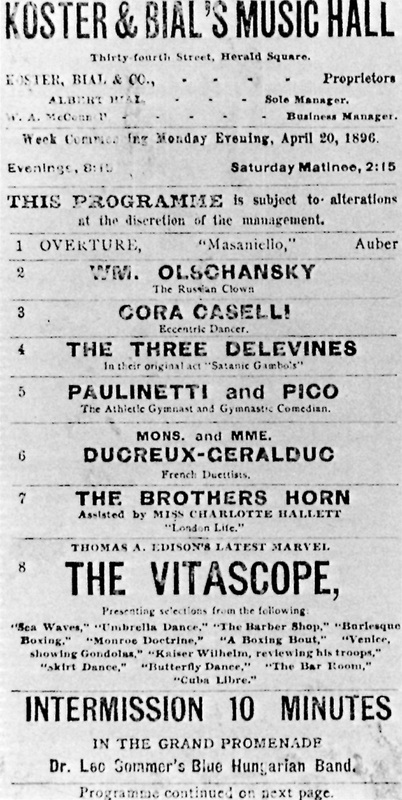 4 Koster and Bial's programme, April 1896. 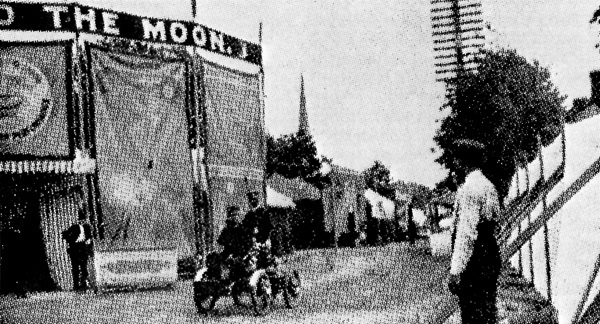 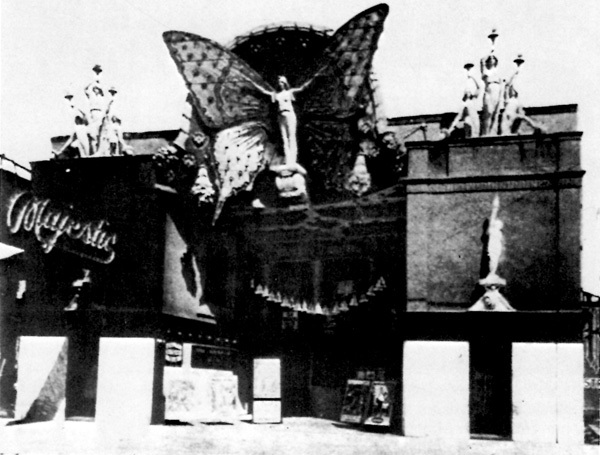 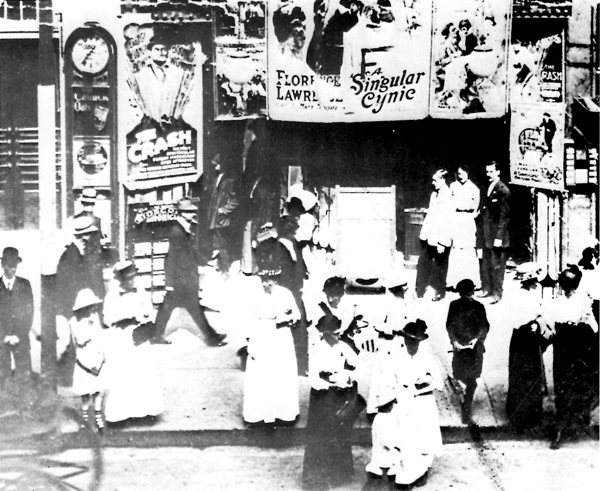 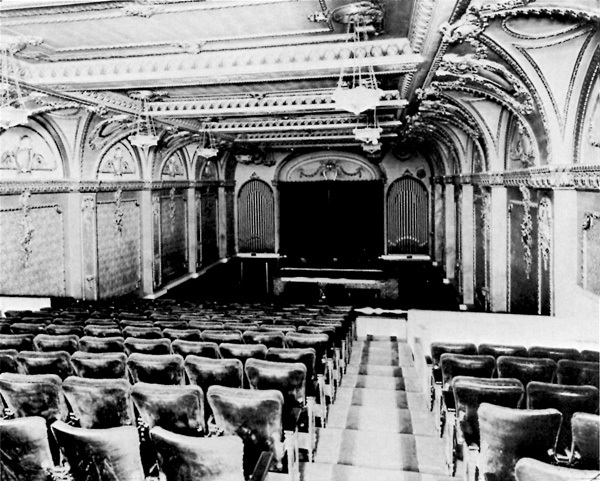 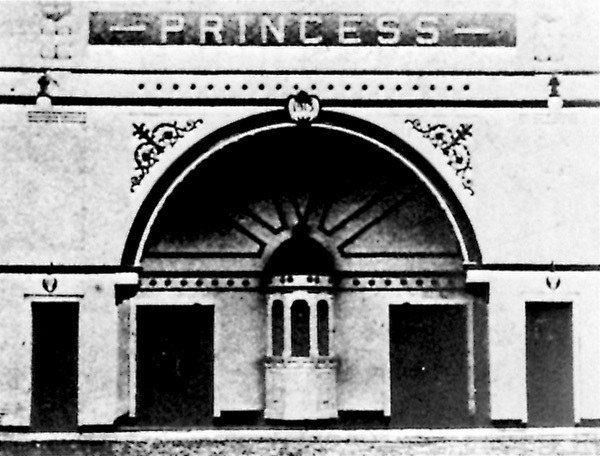 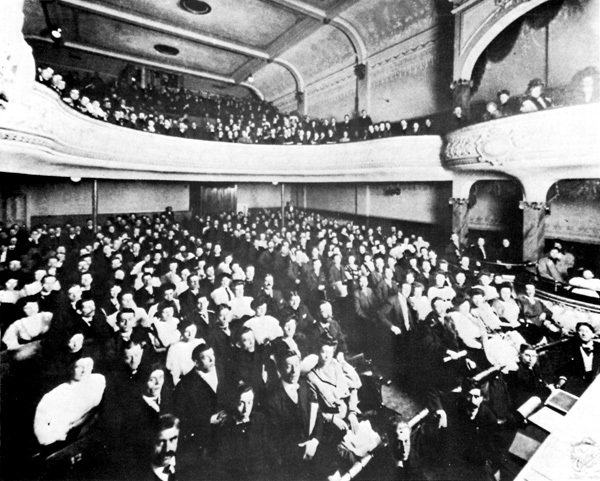 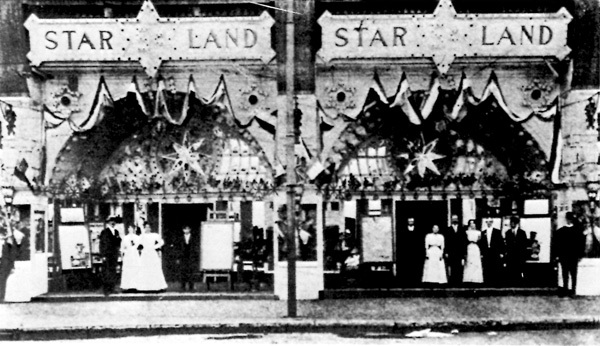 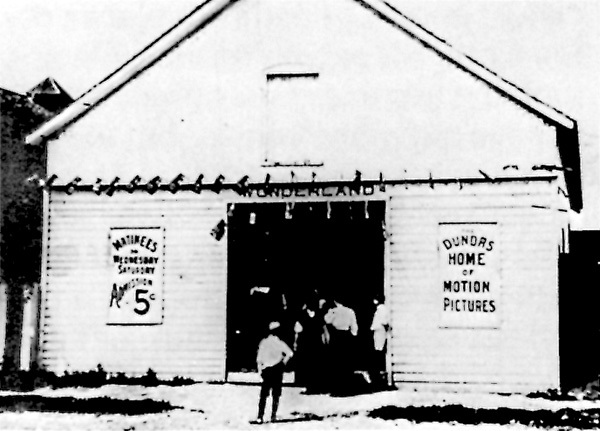 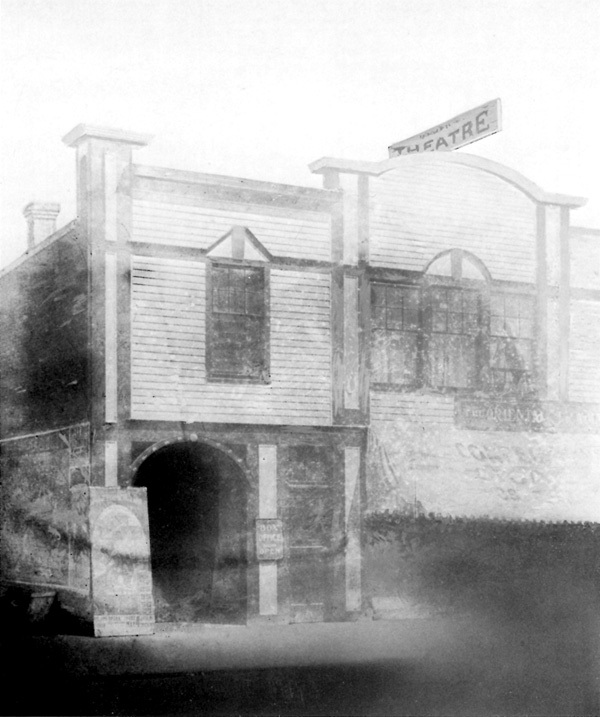 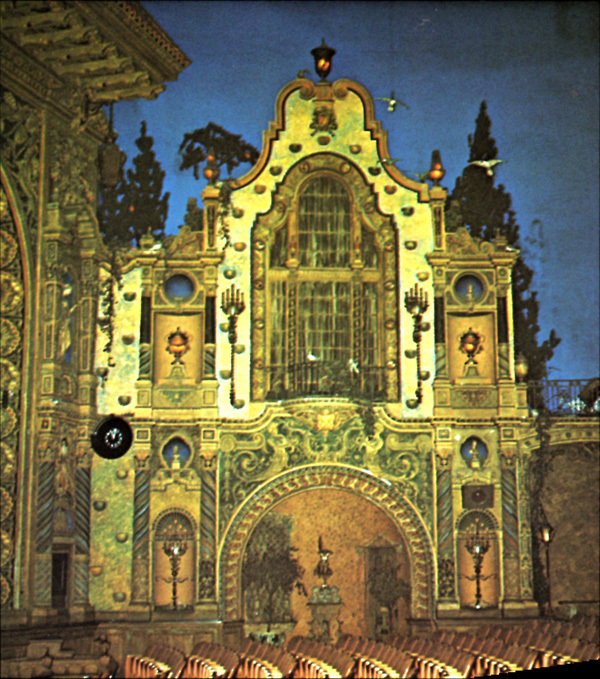 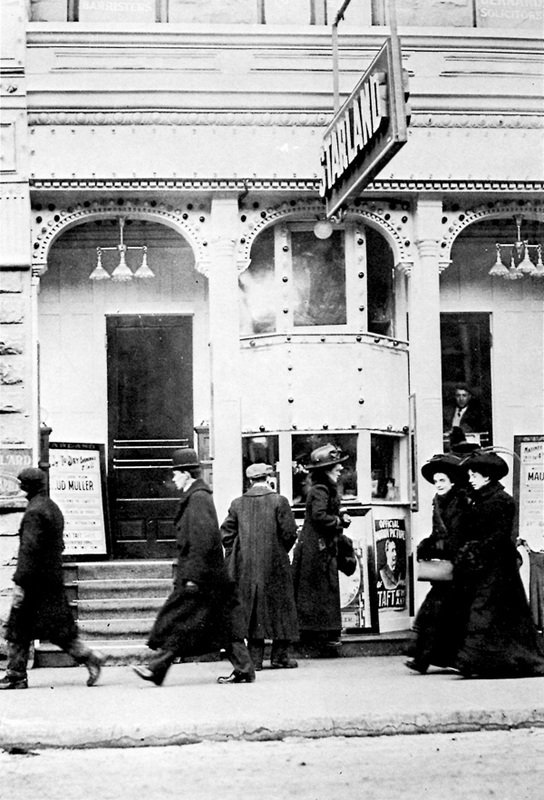 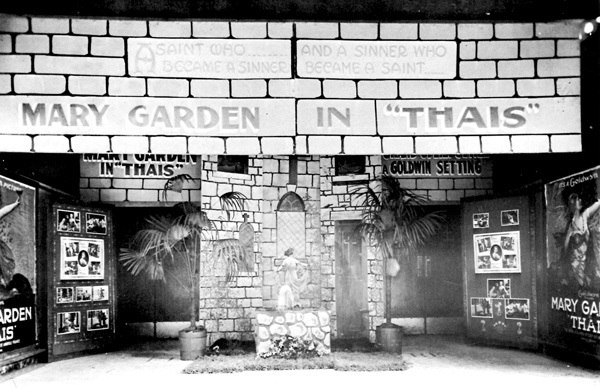 5 Schuberg's tent theatre, 1900. 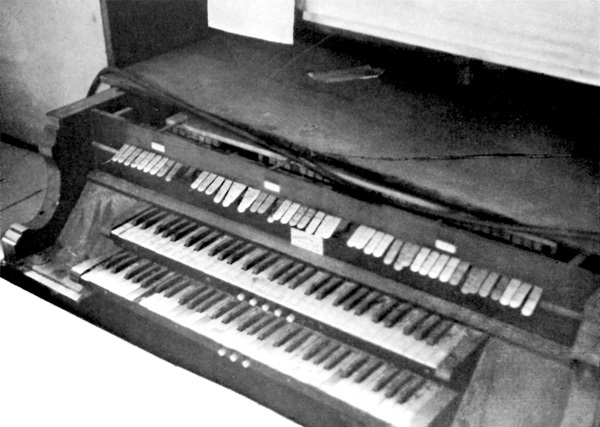 6, 7 Two Canadian "converts." 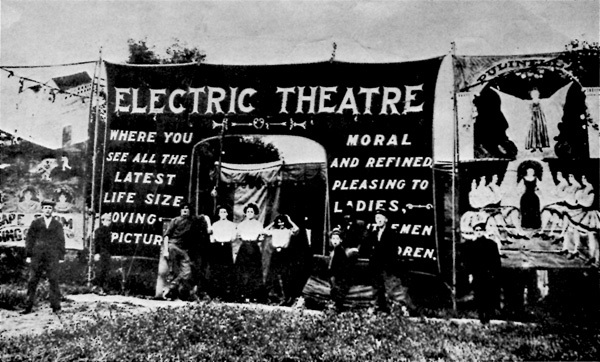 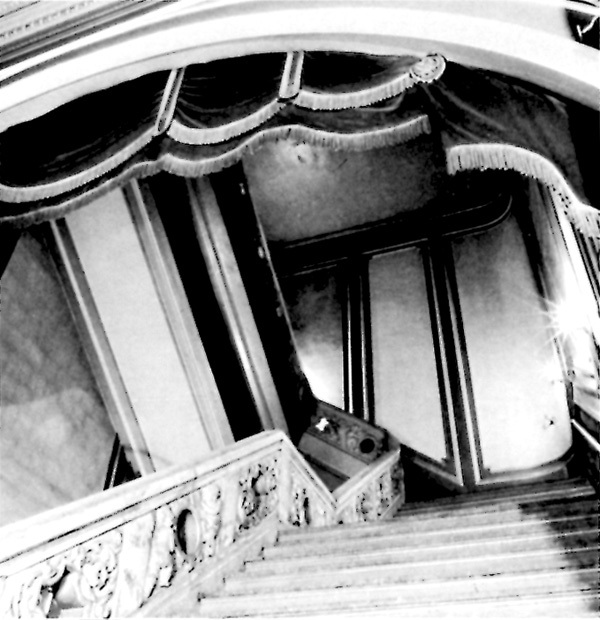 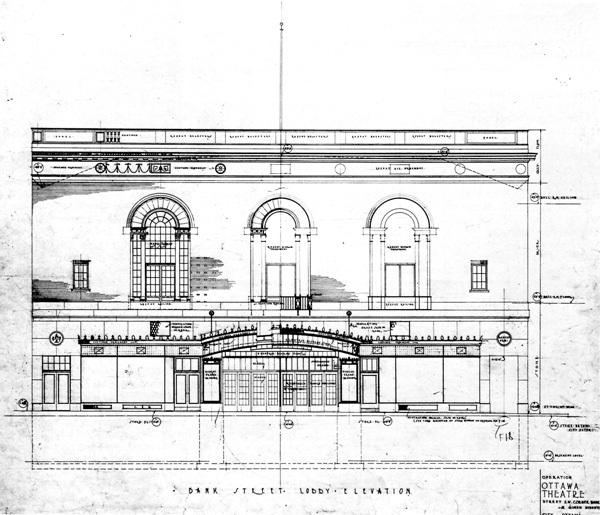 9 Thomas Tally's Electric Theatre. 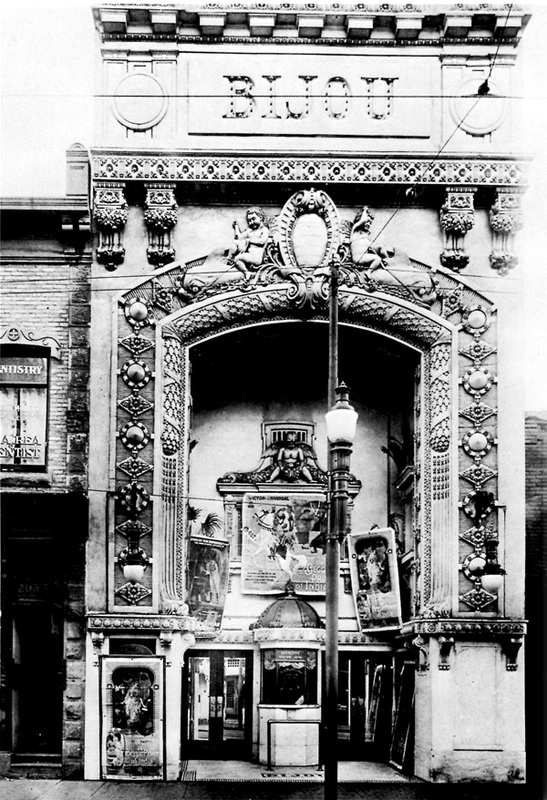 10 Theatorium on Yonge Street, Toronto. 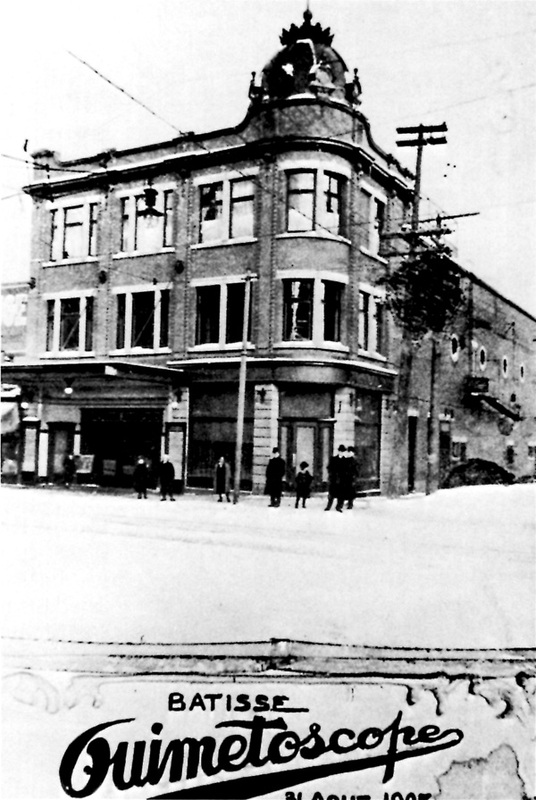 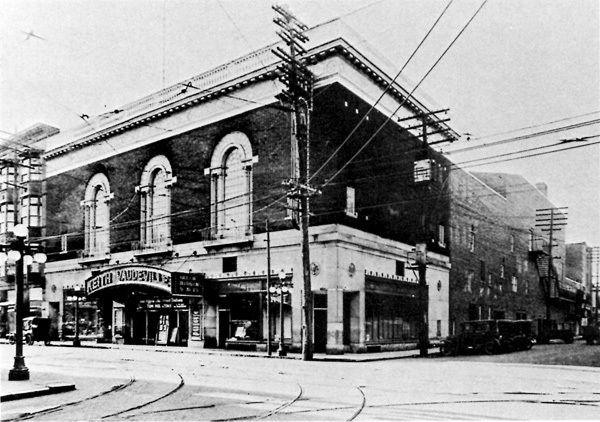 11 A 1909 Allen Theatre in Kitchener, Ont. 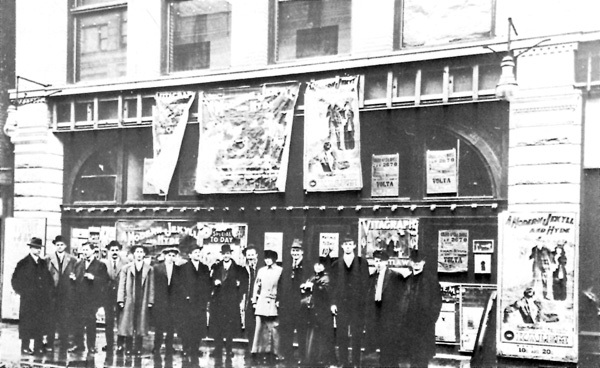 12 Members of the Bennett vaudeville theatre circuit. 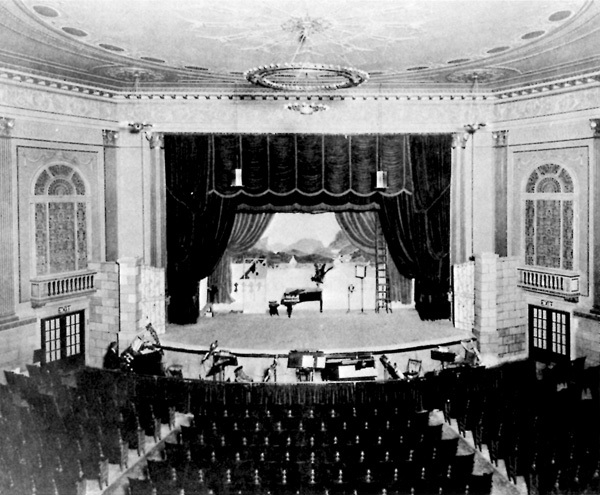 13 Proscenium arch and stage, Savoy, Hamilton, Ont. 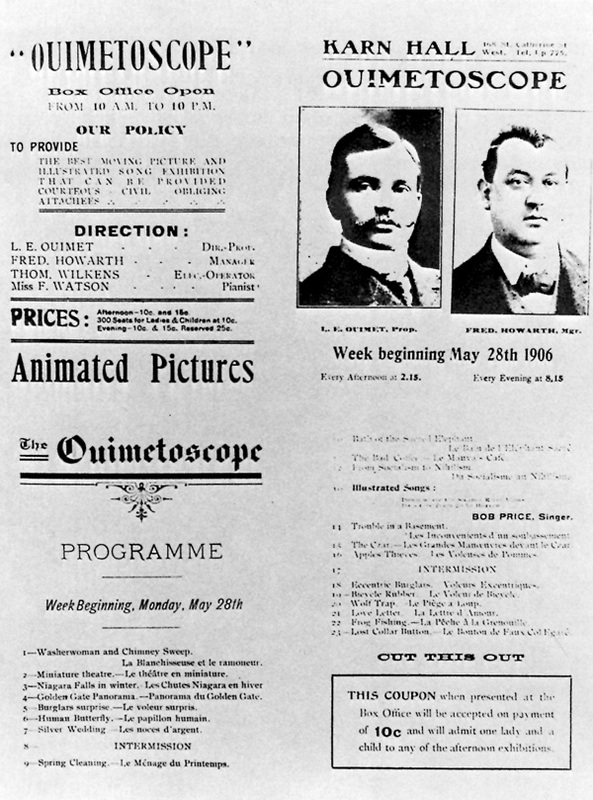 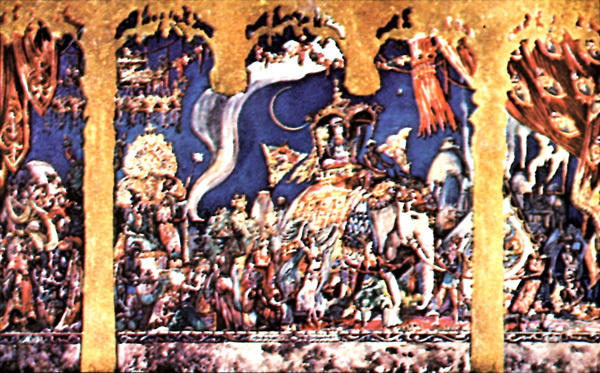 15 Programme of second Ouimetoscope. 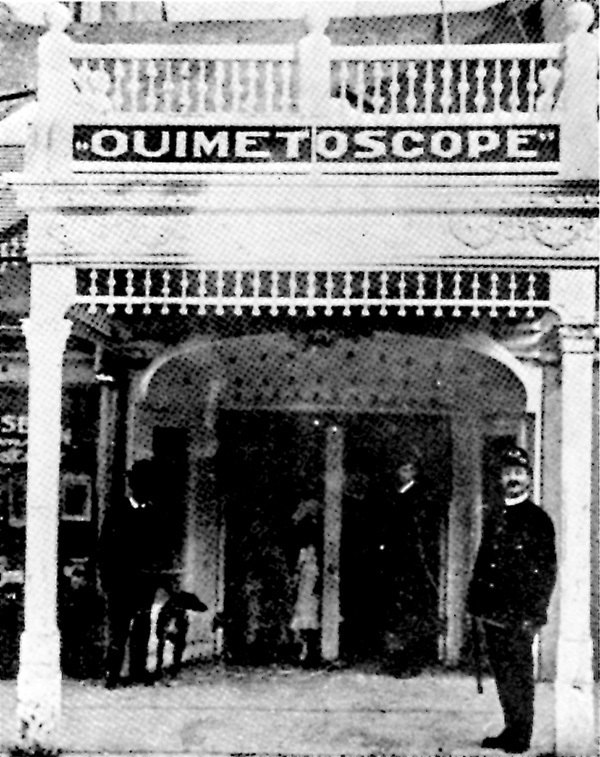 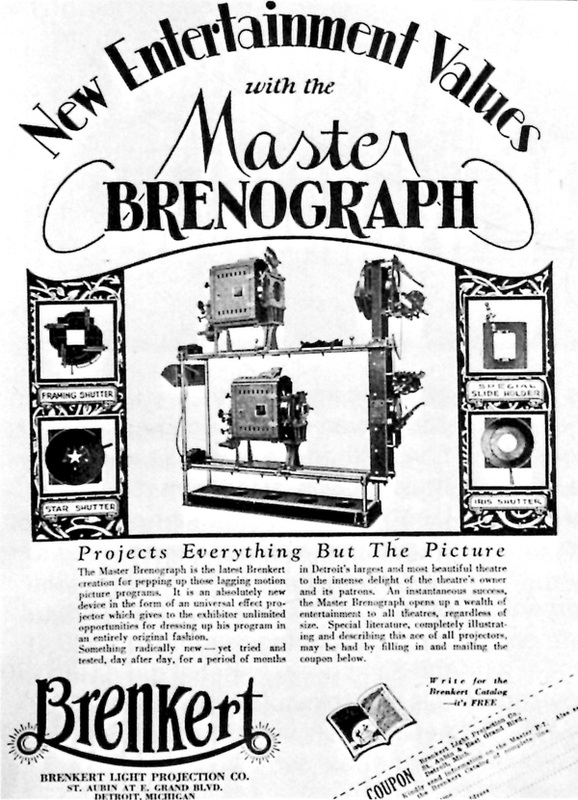 16 Exterior of 1907 Ouimetoscope. 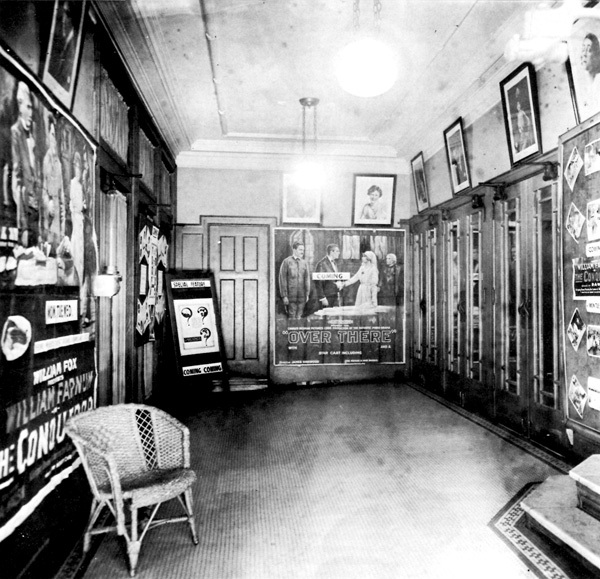 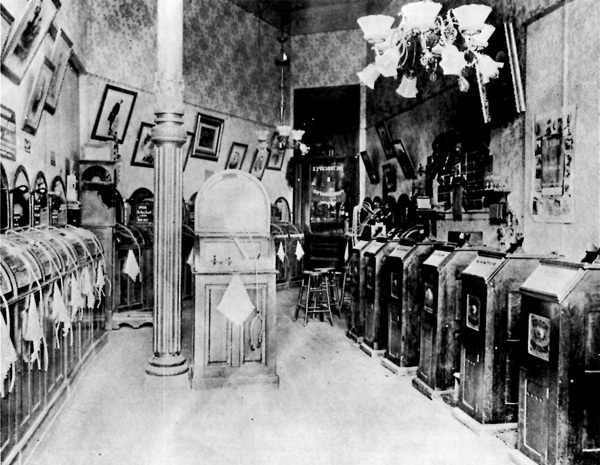 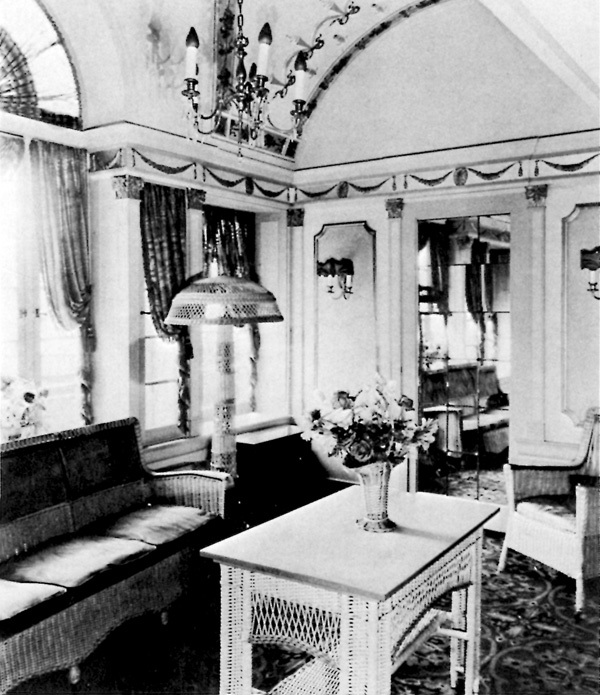 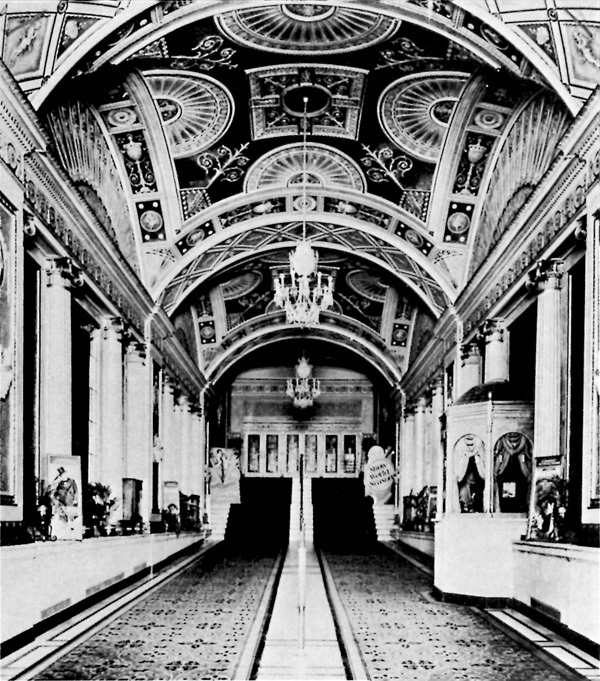 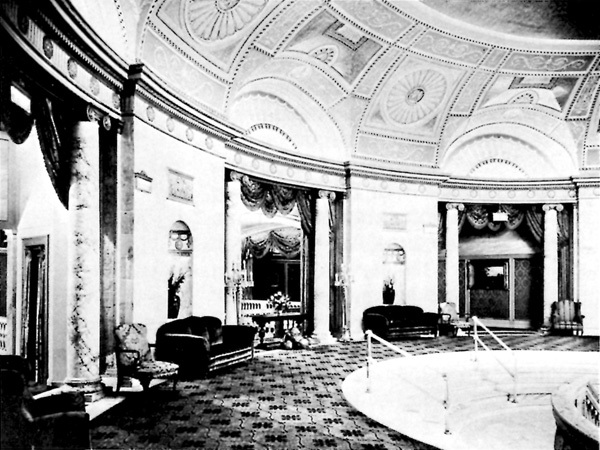 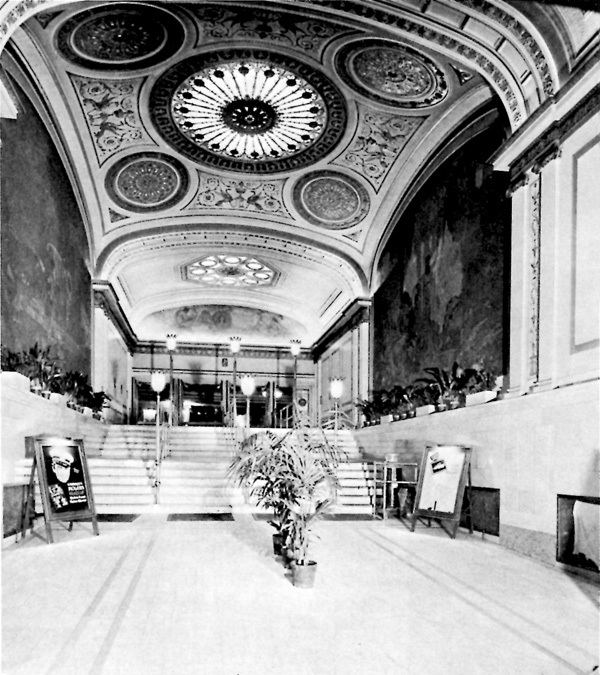 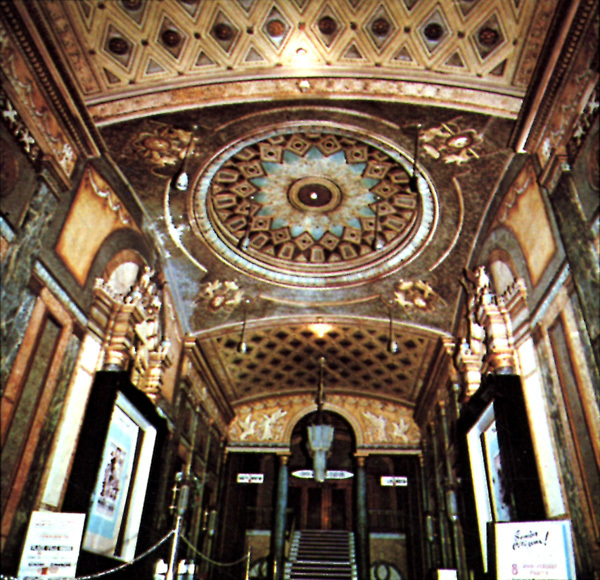 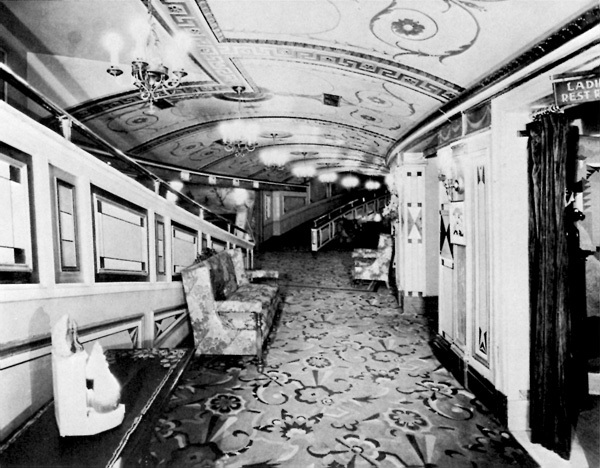 17, 18 Lobby and auditorium of 1907 Ouimetoscope. 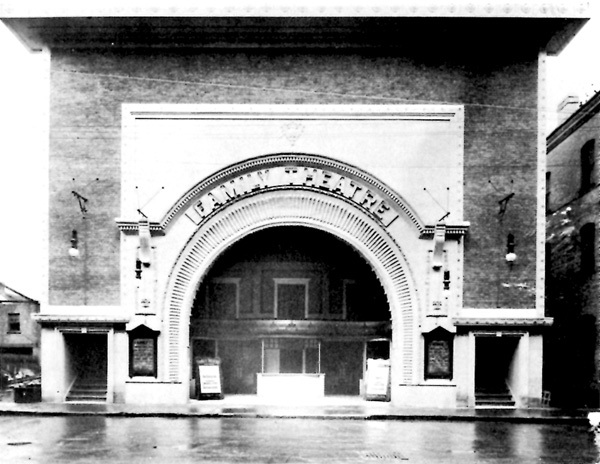 19, 20, 21, 22 Façades of "new, improved" movie houses. 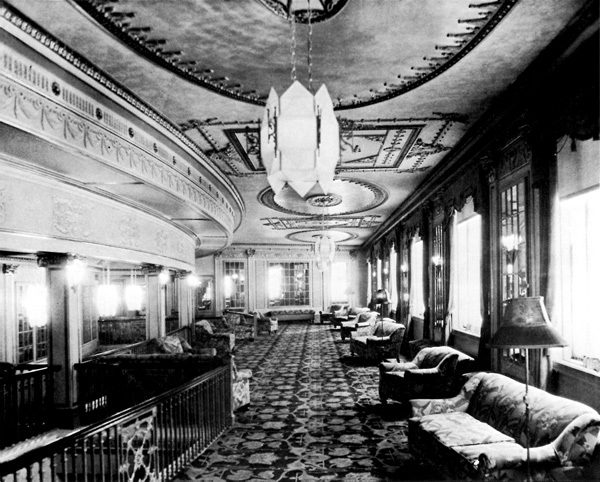 23 The Regent in New York. 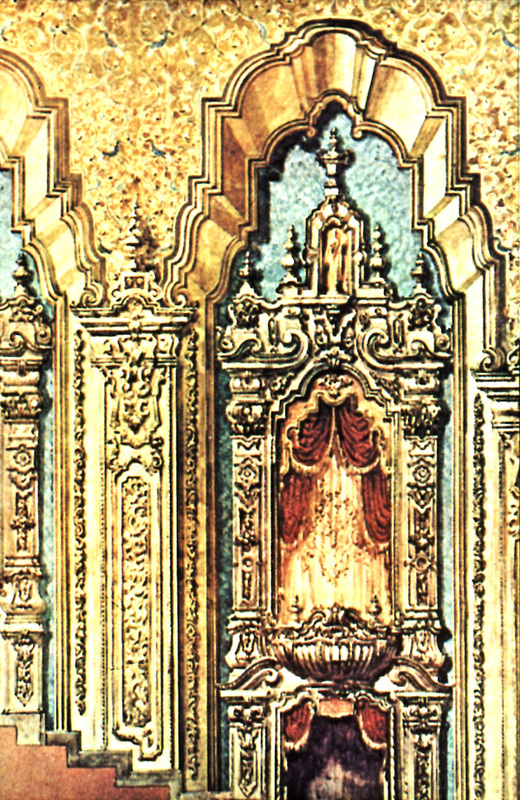 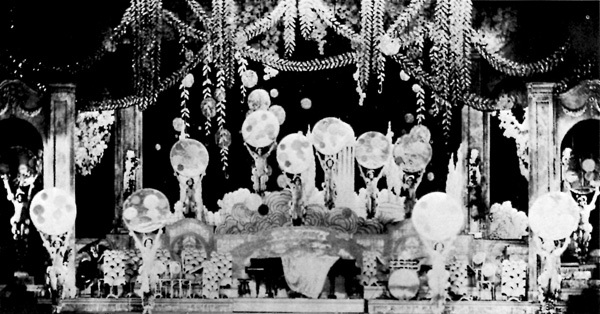 24, 25 Decorative components of movie palace flamboyance. 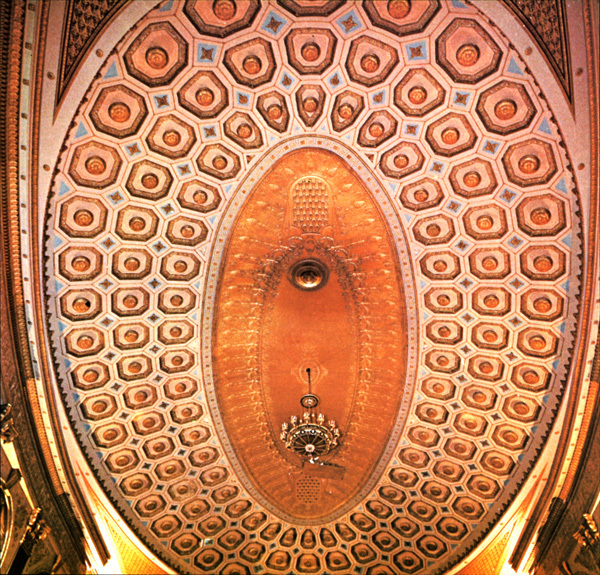 26 Grand foyer, Michigan theatre, Detroit. 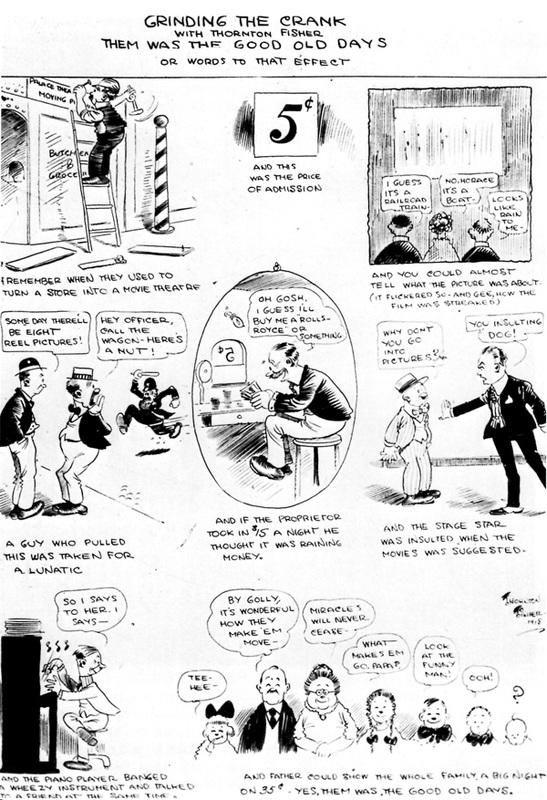 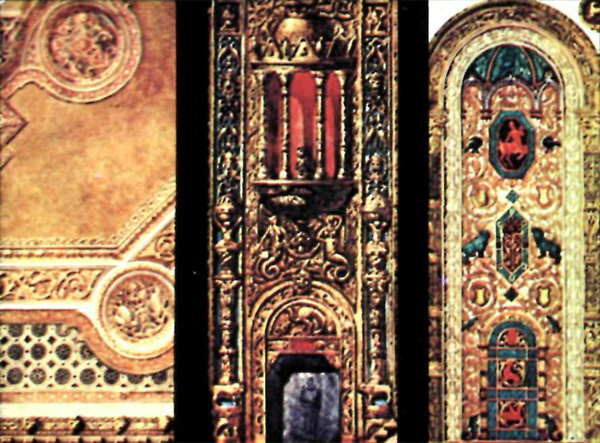 27, 28, 29 Decorative styles used by Thomas W. Lamb. 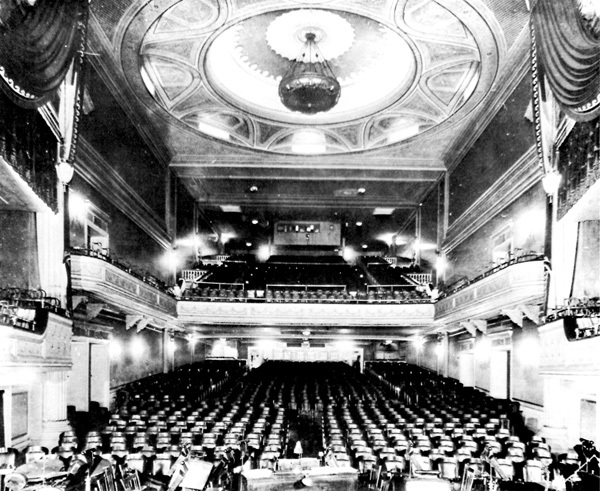 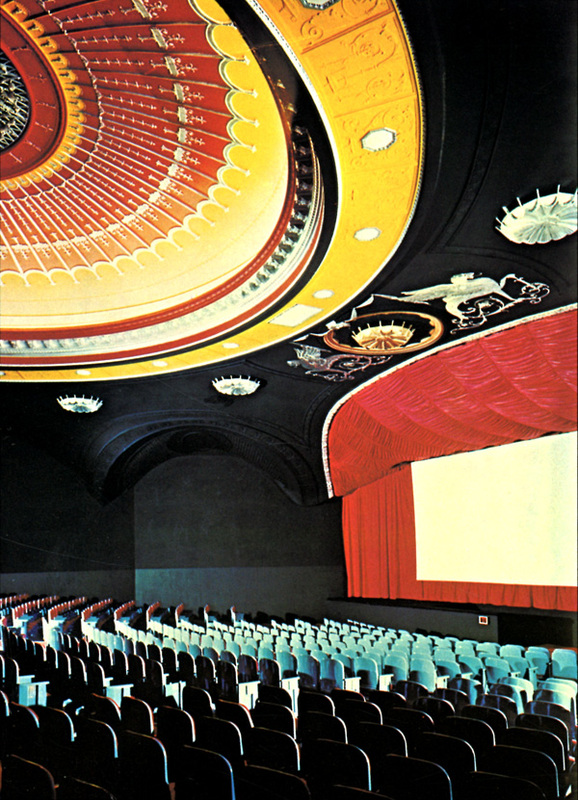 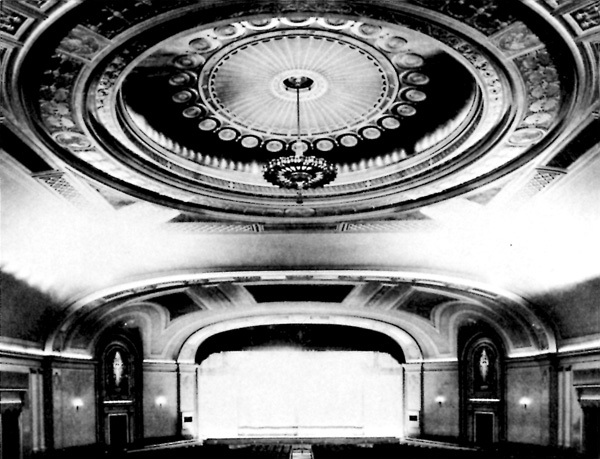 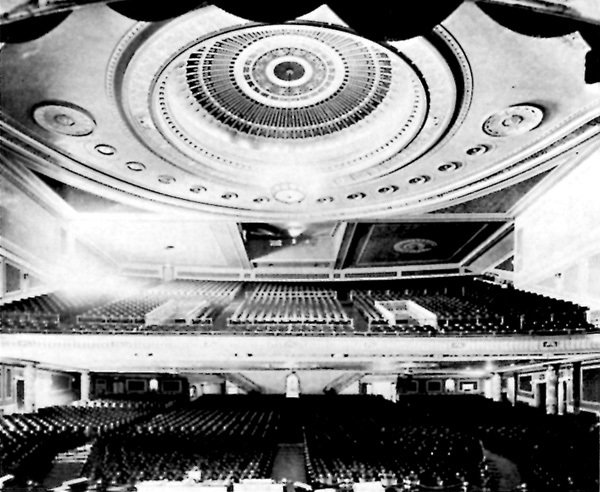 30 Dome, Fifth Avenue theatre, Seattle. 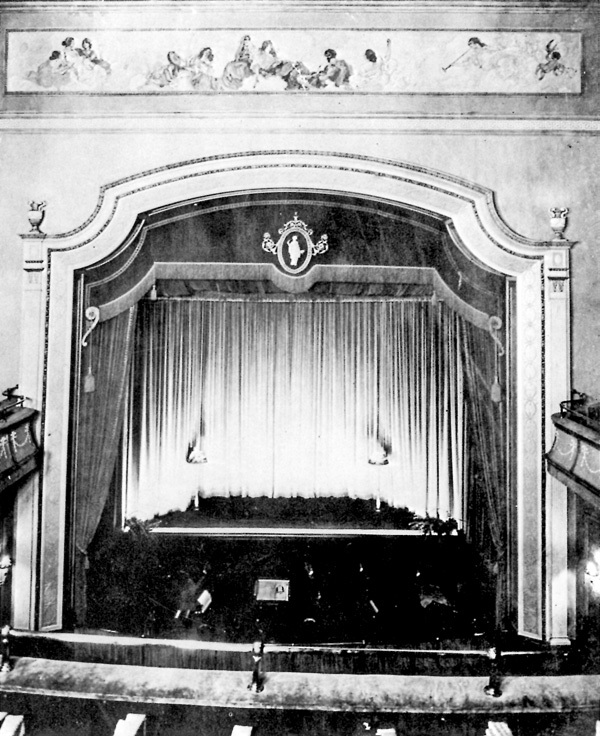 32 A stage show rivalling the ostentation of movie palace decor. 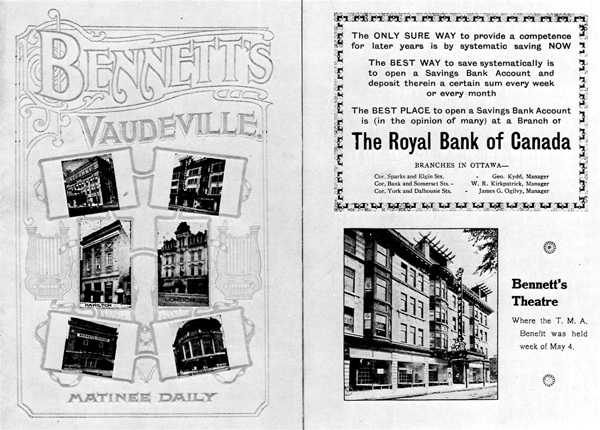 33, 34 Pretentious façades from 1913 and 1914. 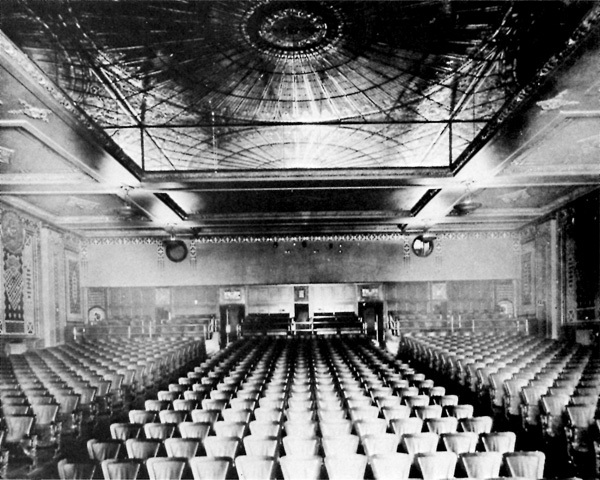 35 Glass-domed auditorium of the Dominion Theatre, Vancouver. 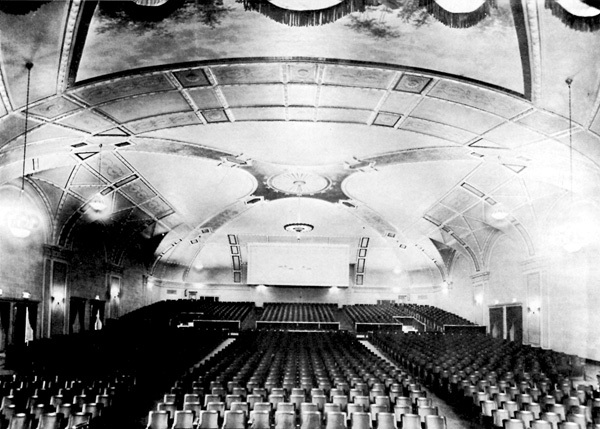 36, 37 Calgary's Allen theatre. 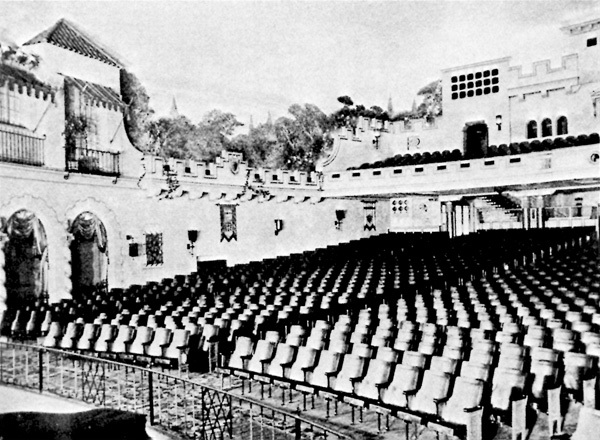 38, 39 The Regent's façade and auditorium. 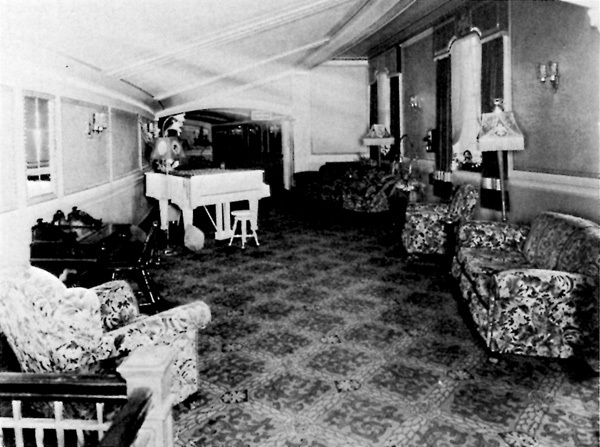 40, 41, 42 The Allen in Toronto, designed by C. Howard Crane. 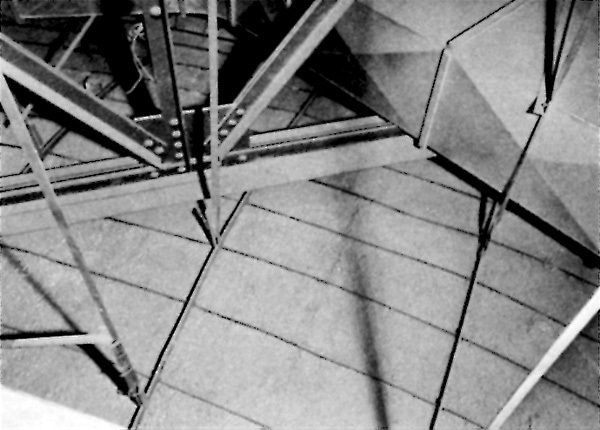 43, 44, 45 Three more examples of Crane's designs. 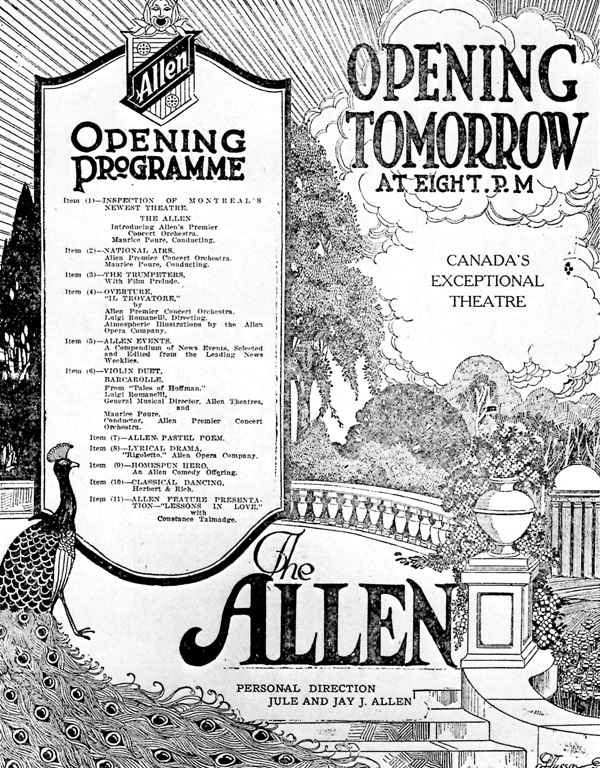 46 The Allen opening programme. 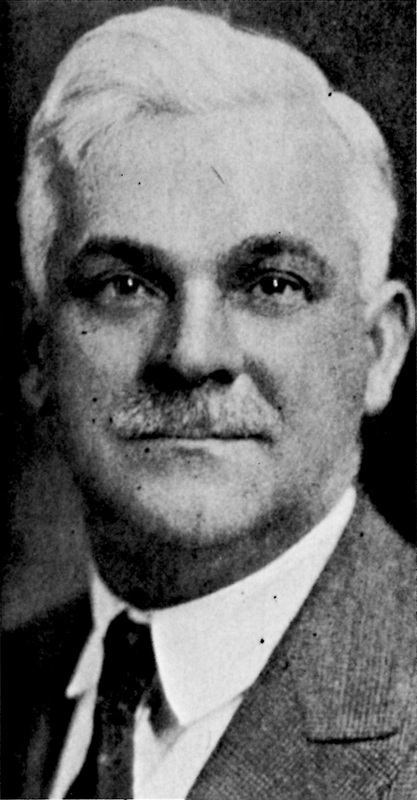 47 A 1928 portrait of Thomas W. Lamb. 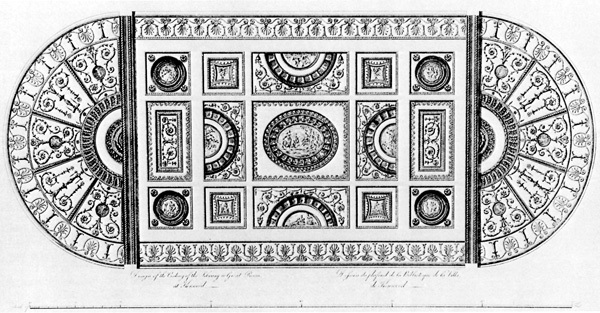 48 Adam's ceiling design at Kenwood. 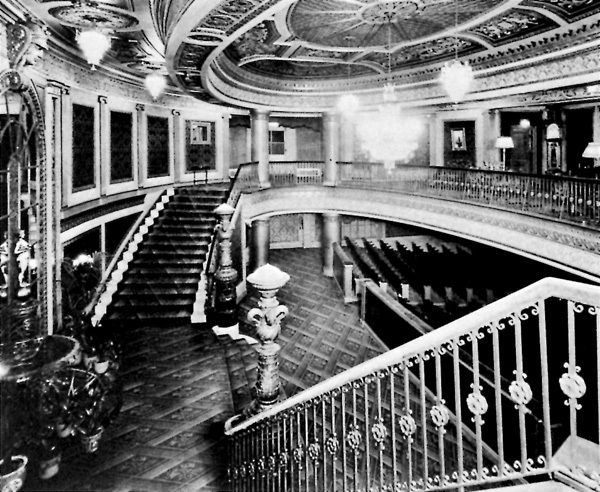 49 Grand staircase of the Wintergarden. 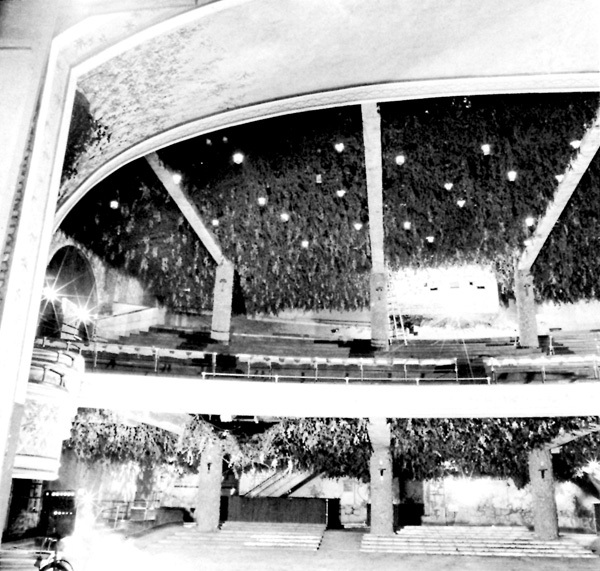 50 View from the Wintergarden stage. 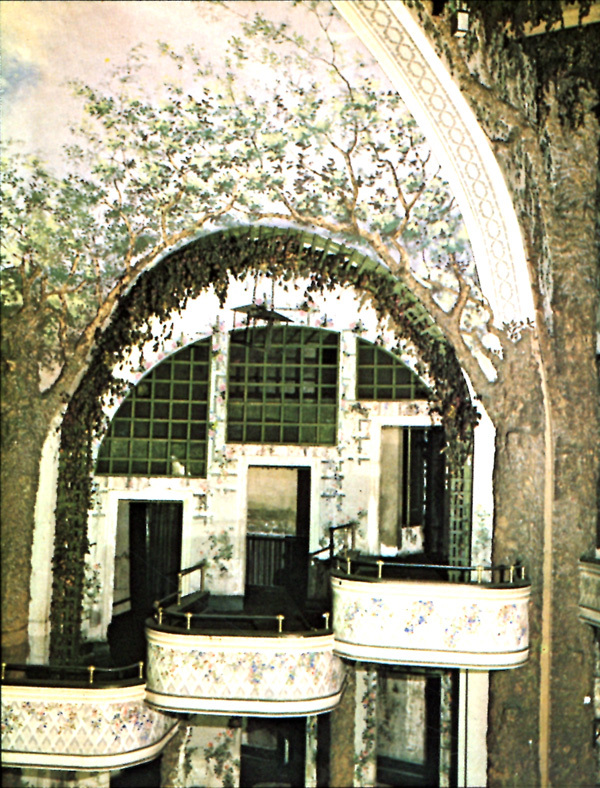 52 Wintergarden stage with "picture sheet." 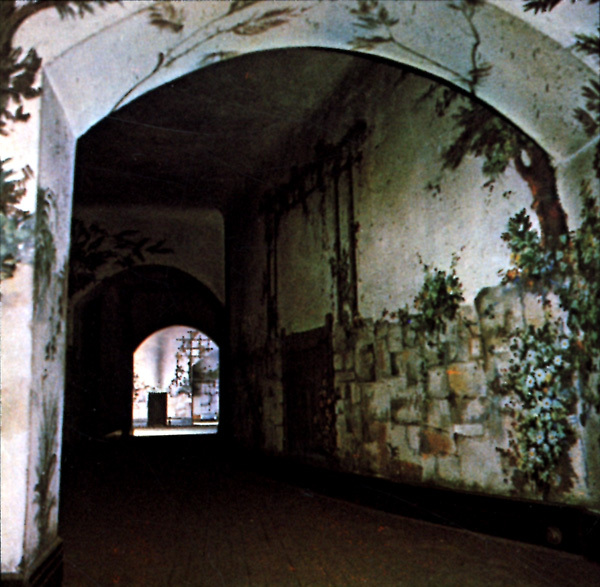 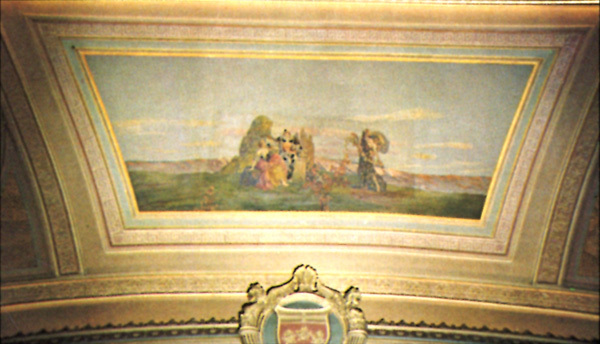 53 Painted decoration in mezzanine hallway. 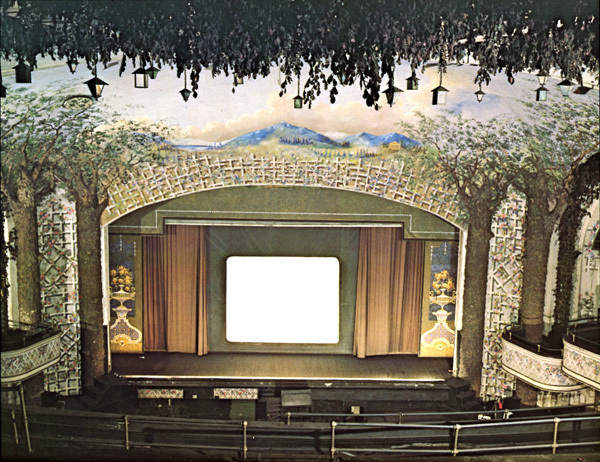 54, 55, 56, 57 Four similar Lamb auditoriums. 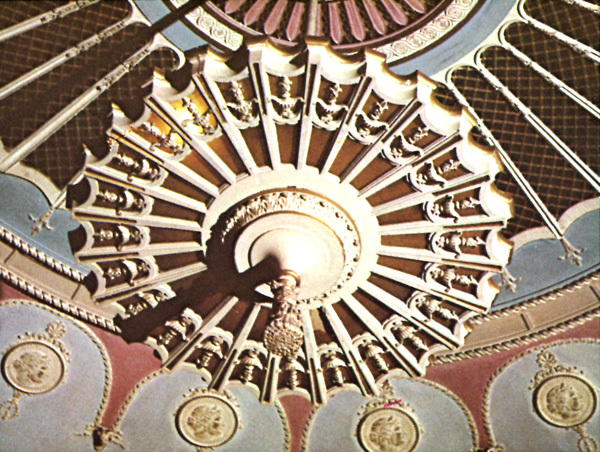 58 One of Lamb's favourite chandeliers. 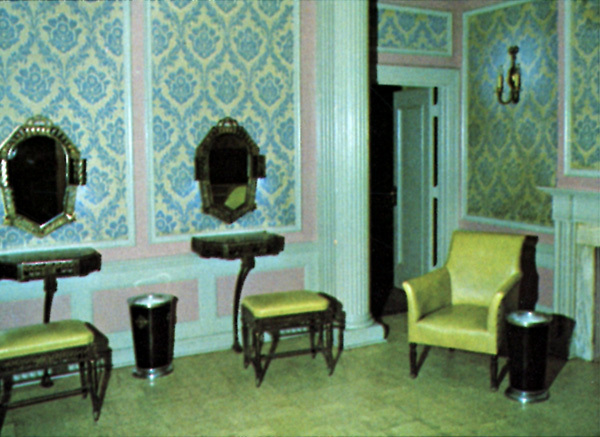 59, 60 Variations on a theme in lobby decoration. 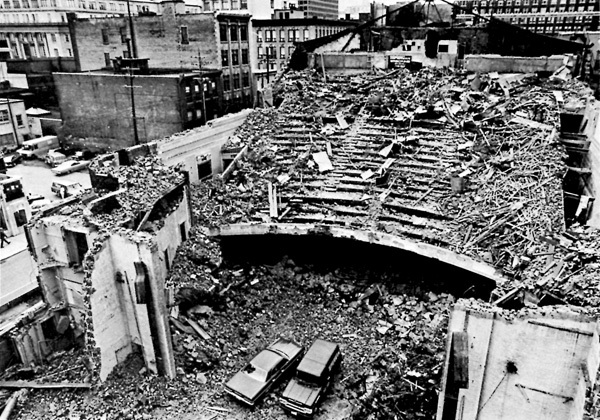 62, 63, 64 Lamb auditoriums. 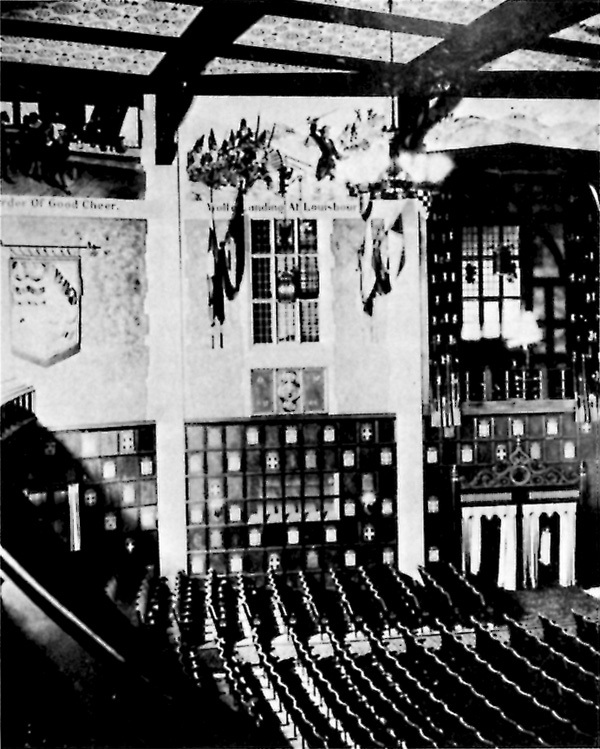 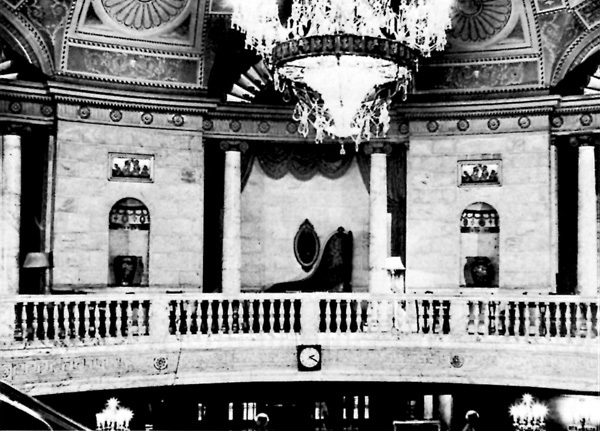 65 Auditorium of the Montreal Capitol. 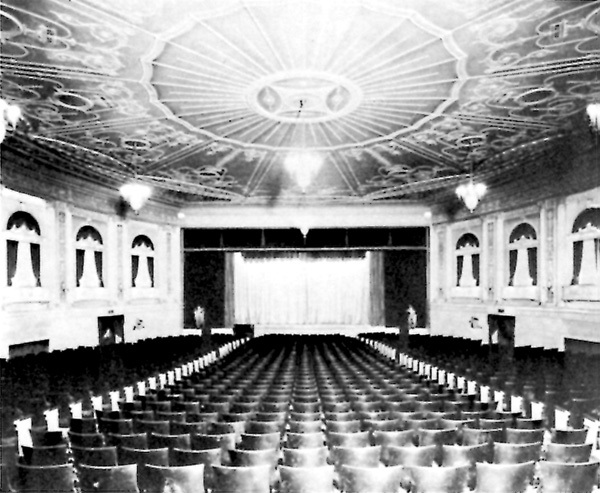 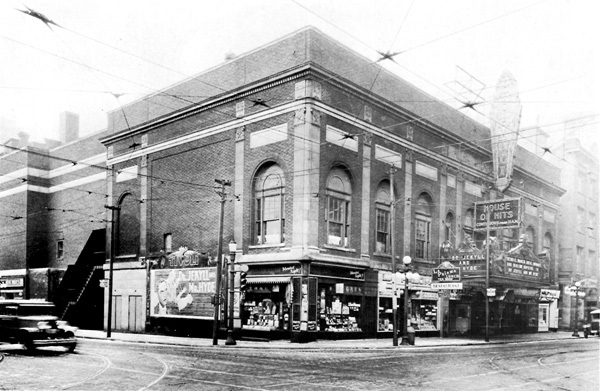 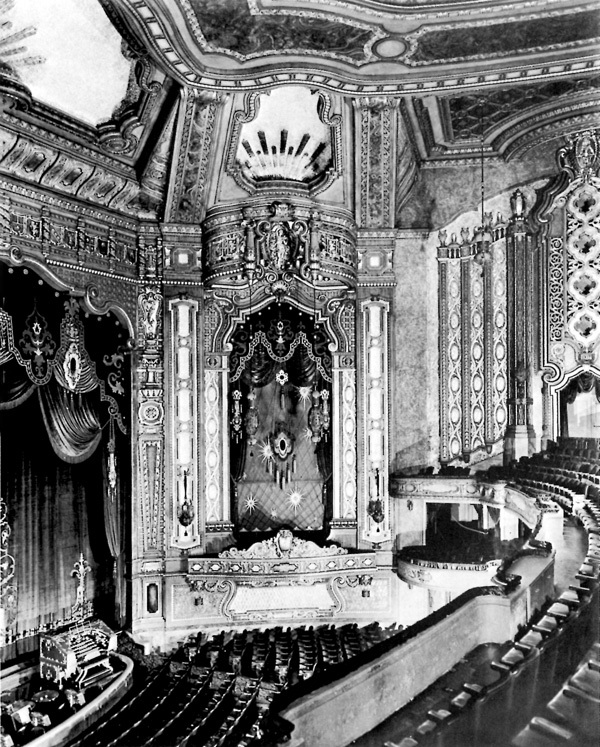 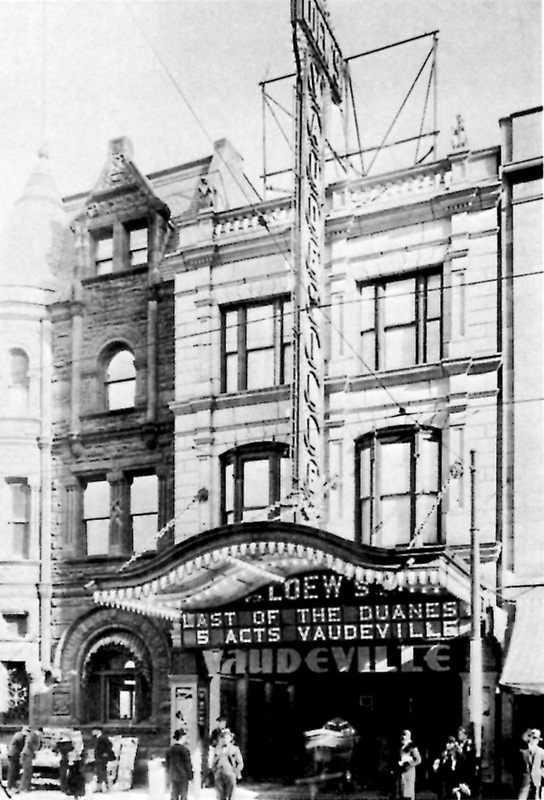 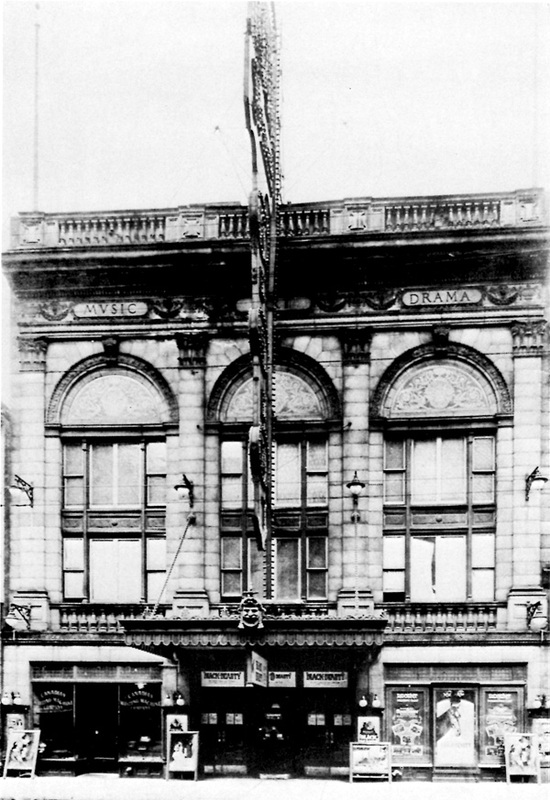 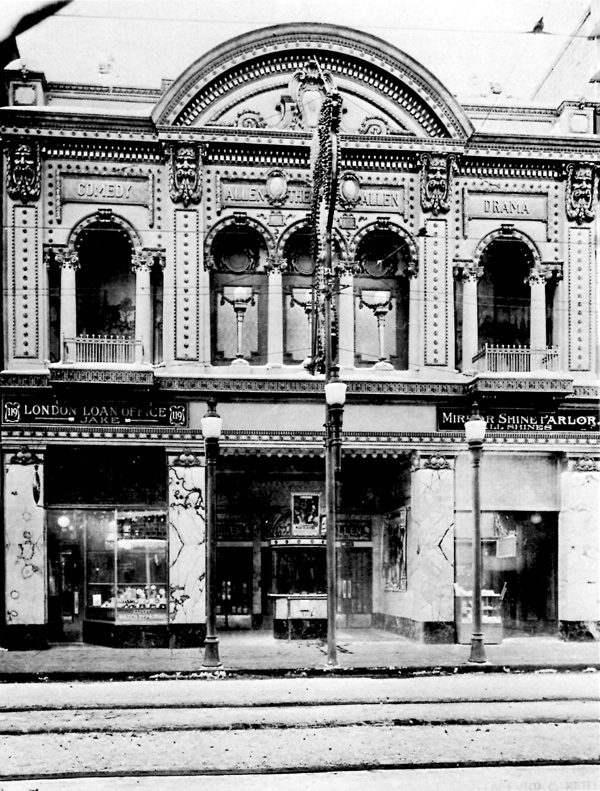 66, 67 Loew's (Ottawa) theatre, 1919. 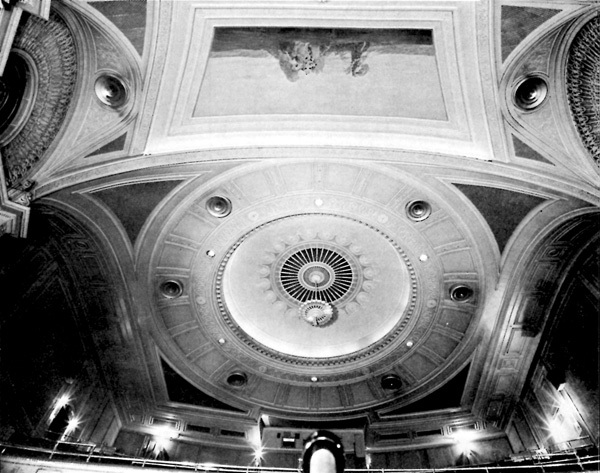 68, 69 Dome of Pantages theatre, Toronto. 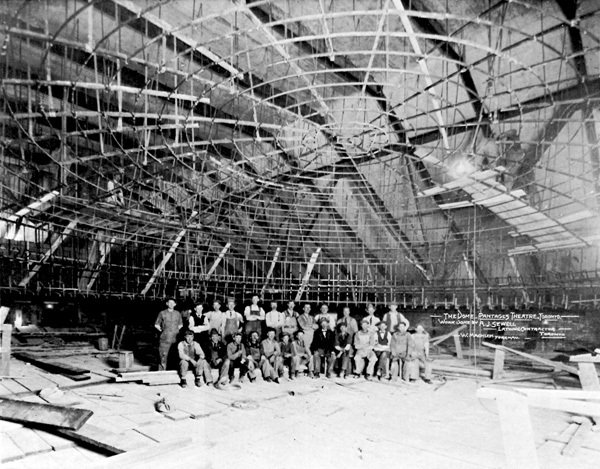 70, 71, 72 Roof and dome construction, Ottawa Capitol. 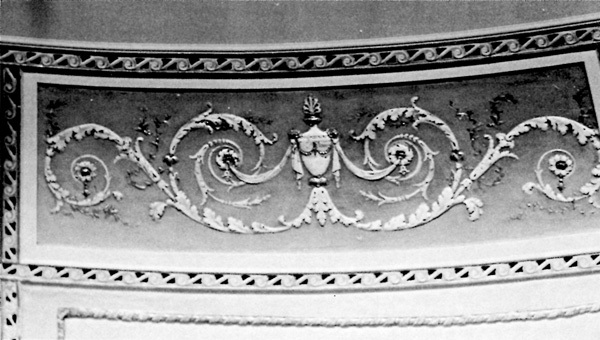 73, 74 Two plans with instructions on decoration. 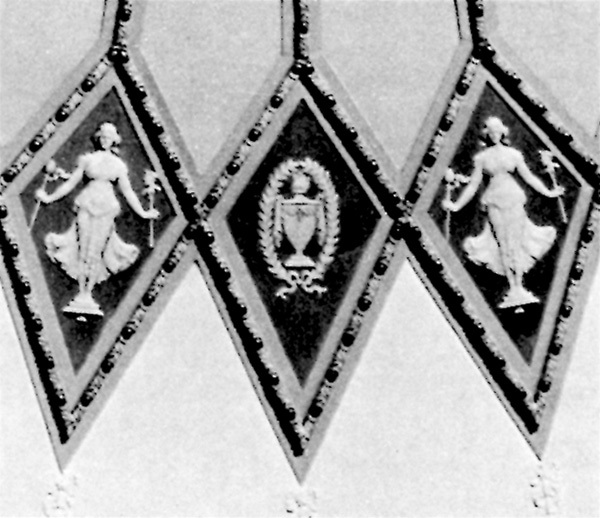 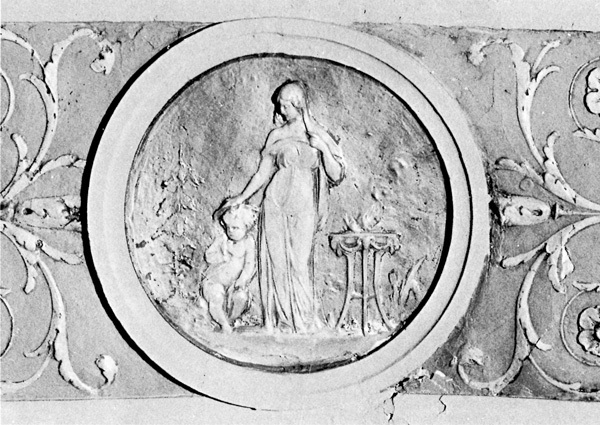 75, 76 Examples of the Capitol's plaster decoration. 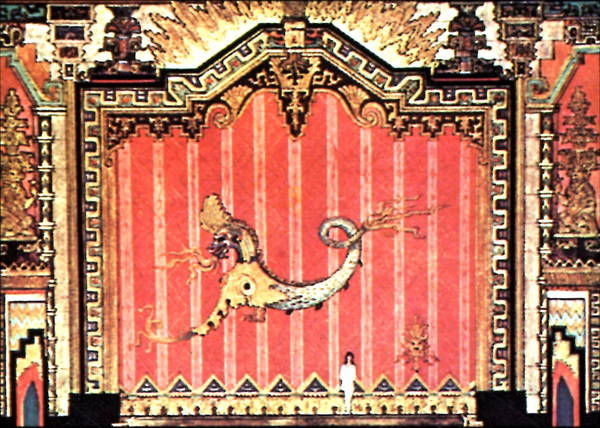 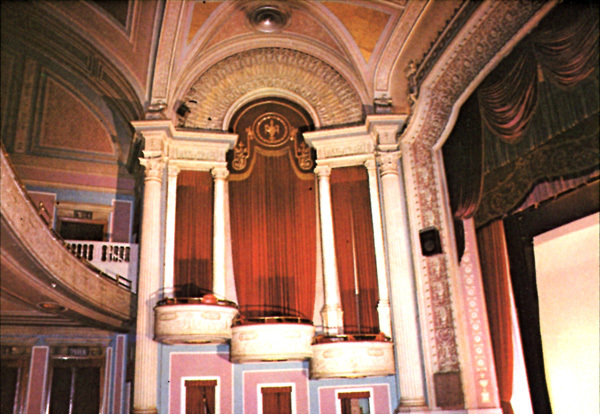 77 Friezes and columns in the auditorium. 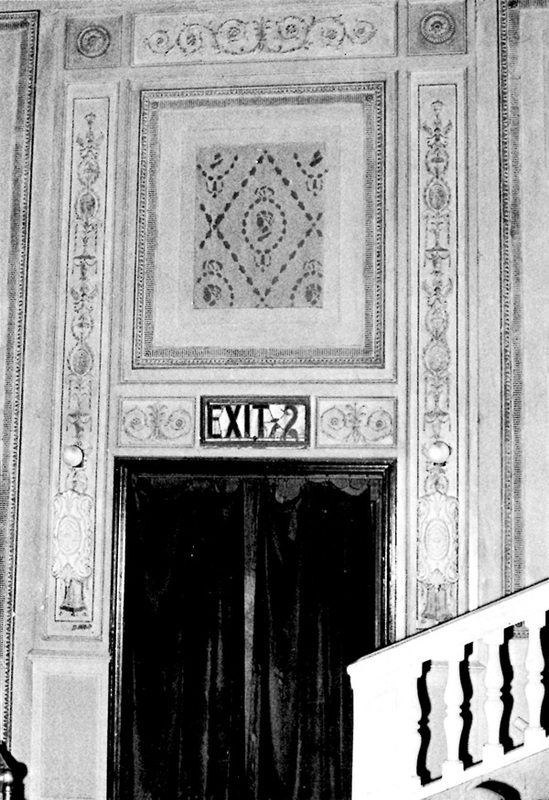 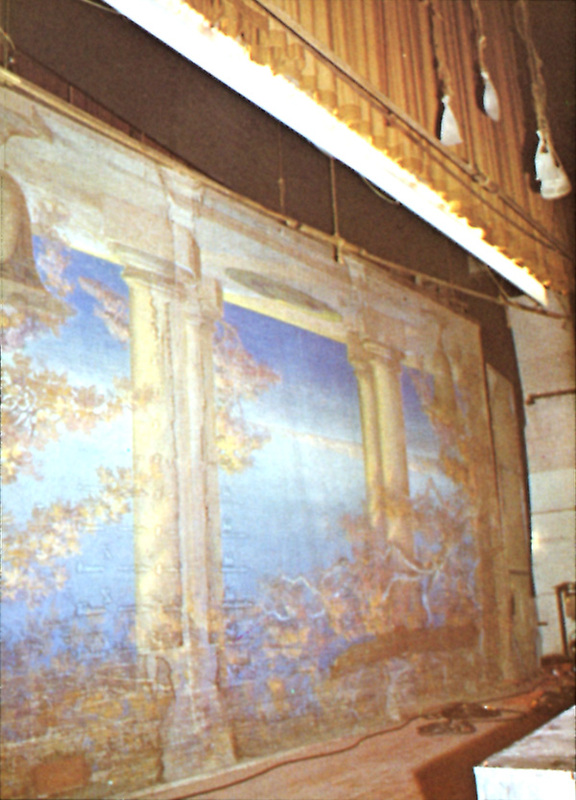 78 Stencilled wall panel in the Capitol auditorium. 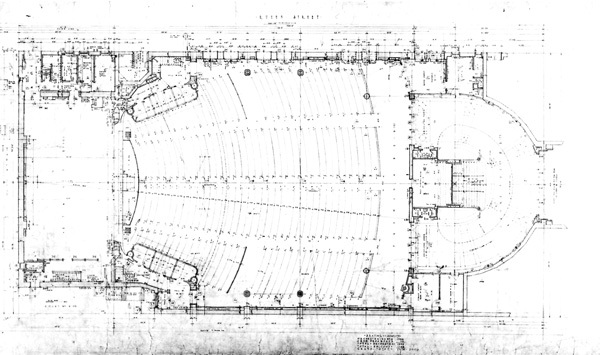 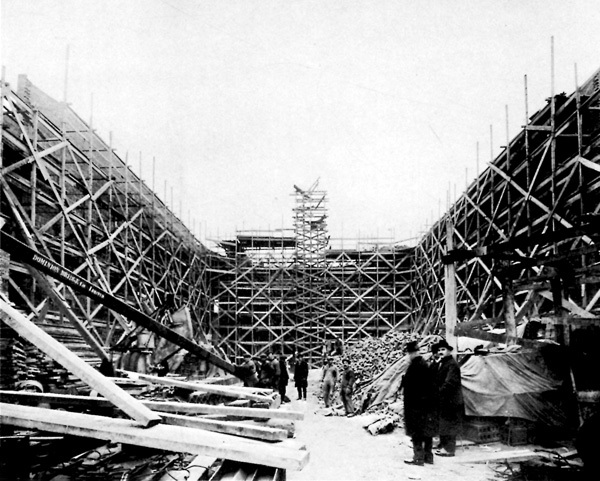 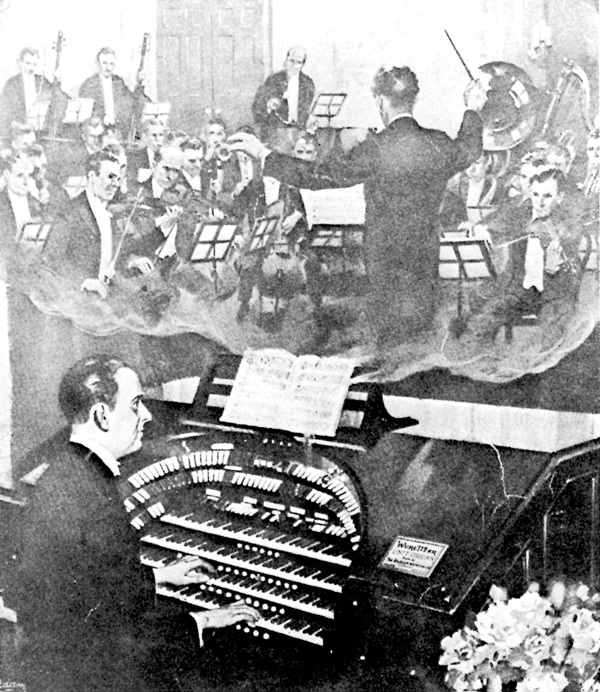 79, 80 Architect's plans, orchestra and mezzanine. 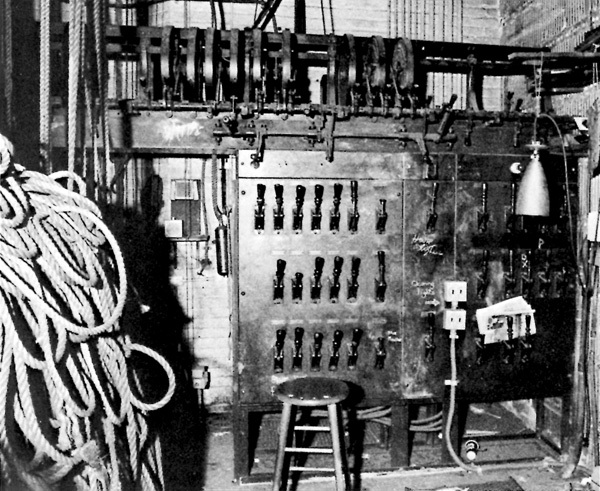 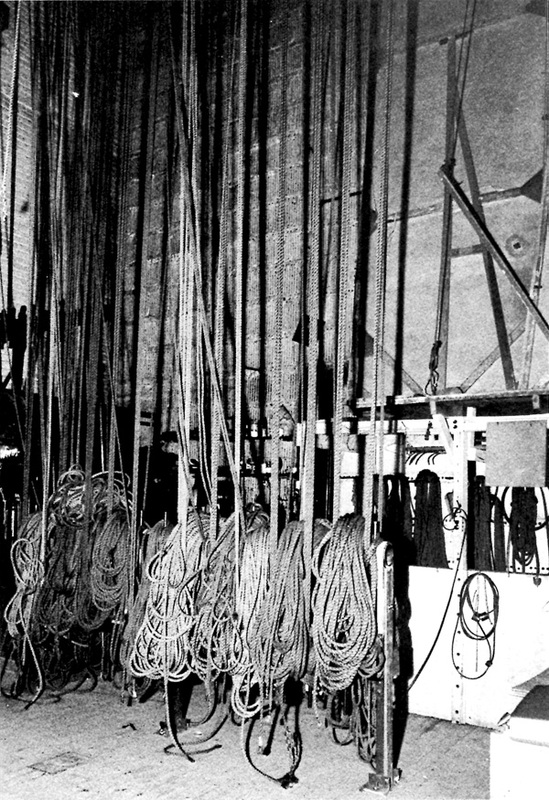 83 Switchboard backstage at the Capitol. 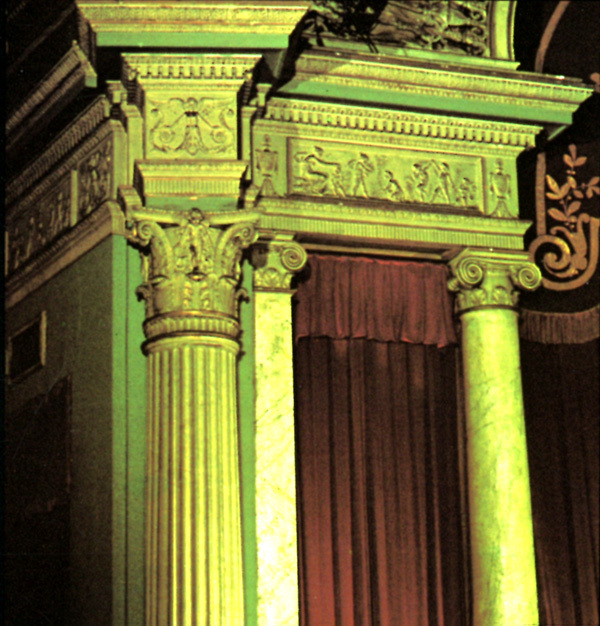 84 Stage setting and organist at the Palace, Calgary. 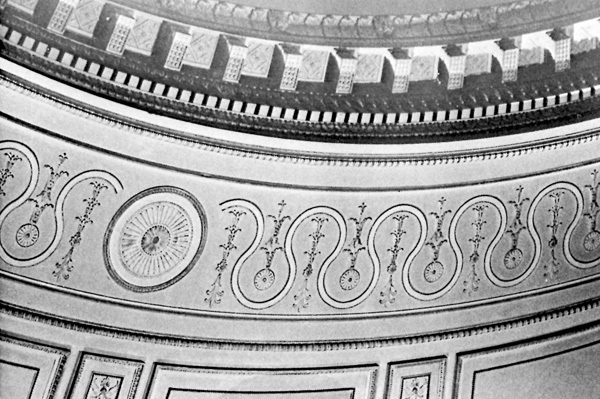 85 Part of the Capitol's 54 sets of lines. 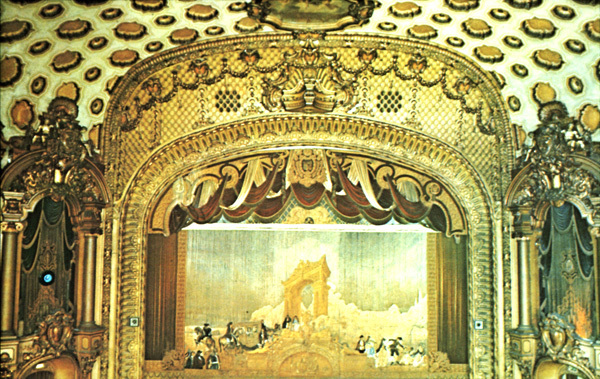 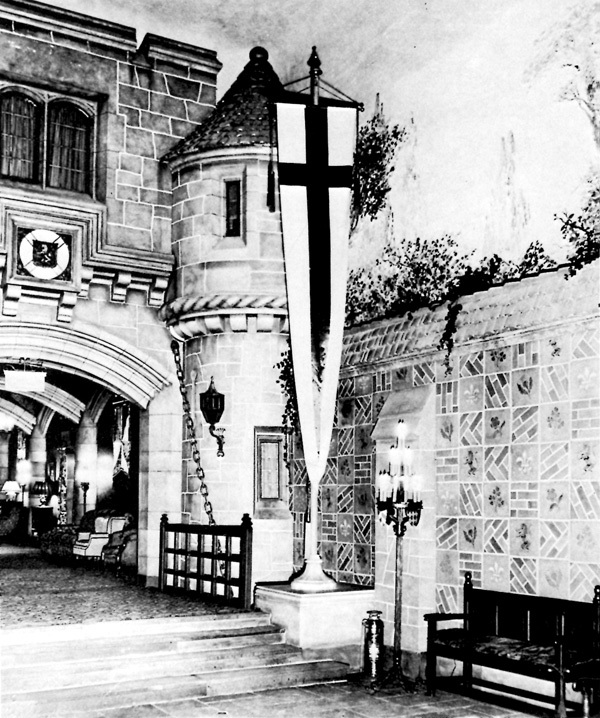 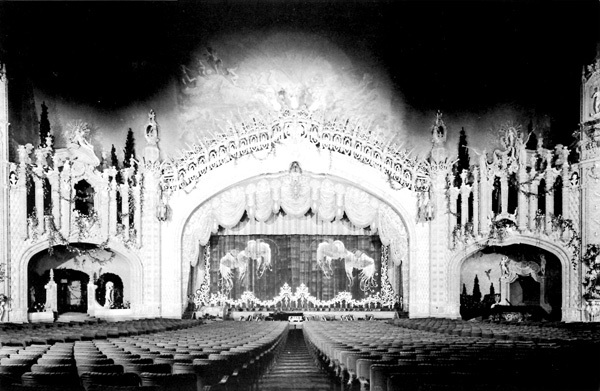 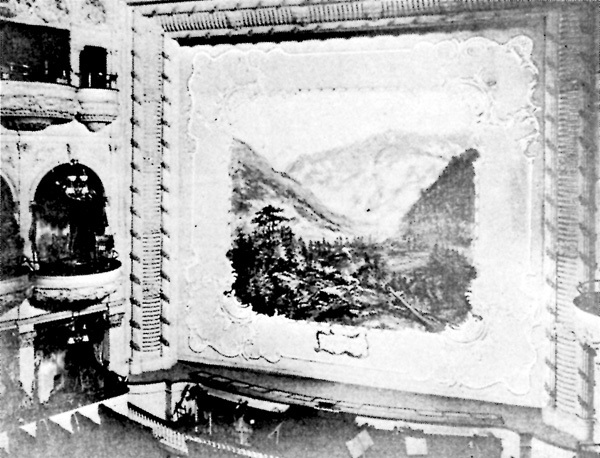 87 Curtain and draperies at Los Angeles Theatre. 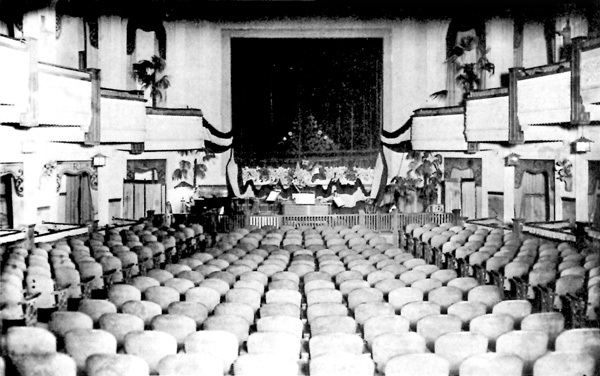 88 Curtains in the Ottawa Capitol. 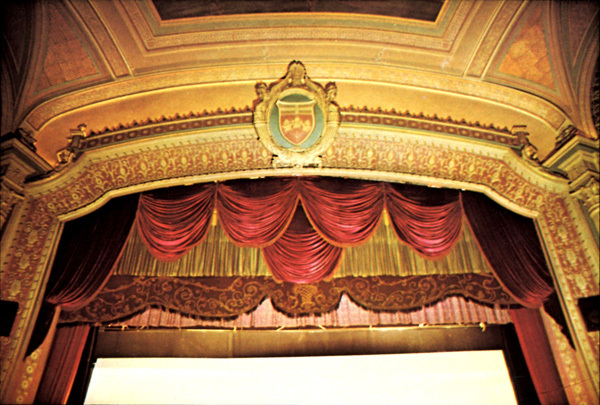 89 Stage curtain at Pantages Theatre, Toronto. 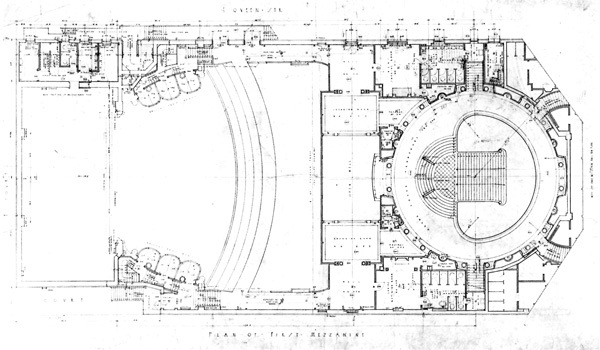 90 Architect's plan of ballroom. 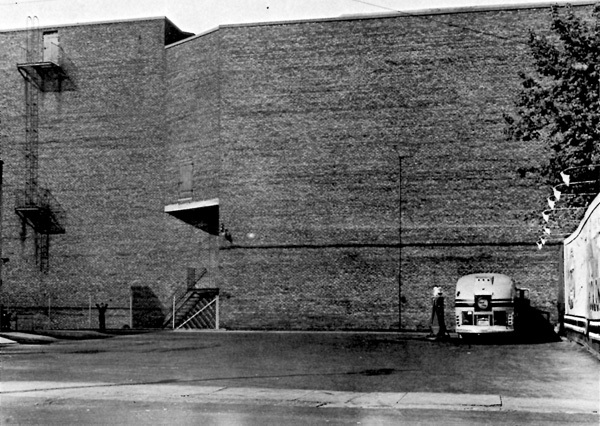 91, 92 Two phases of a façade. 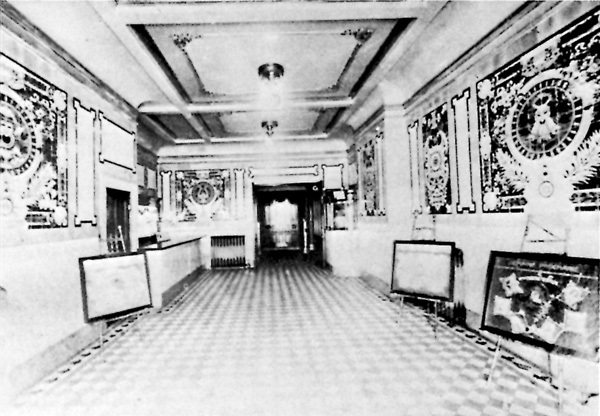 94 Lobby of the Ottawa Capitol. 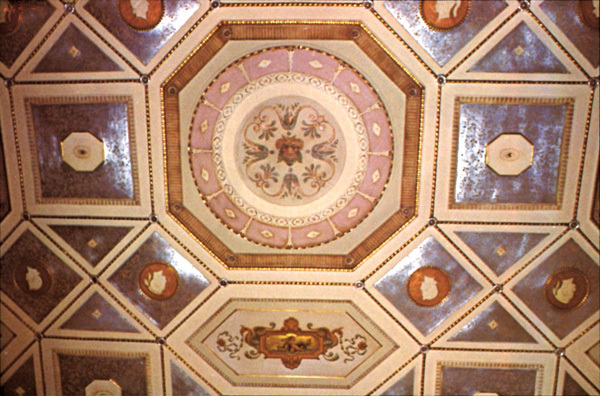 95 Polychrome ceiling in the lobby. 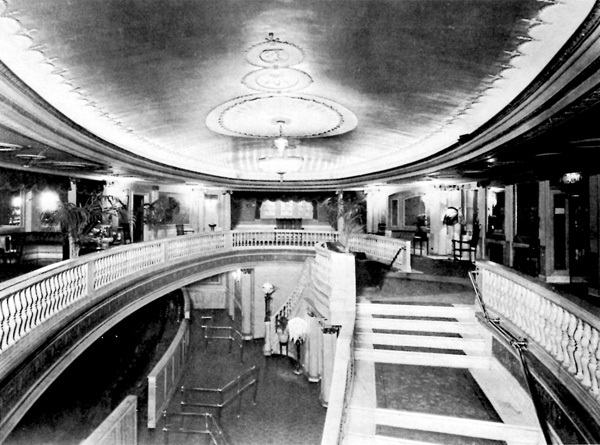 96 View from the bottom of the stairs, grand foyer. 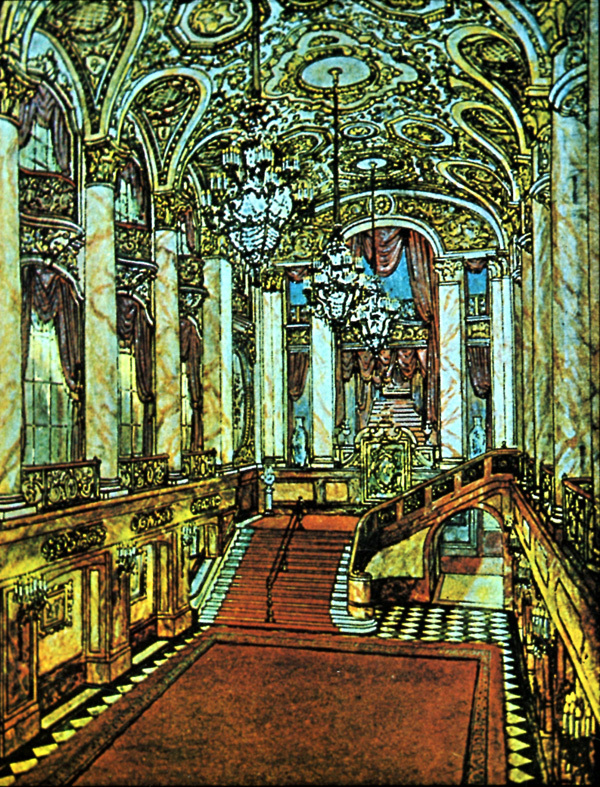 97 Grand foyer in Loew's Montreal. 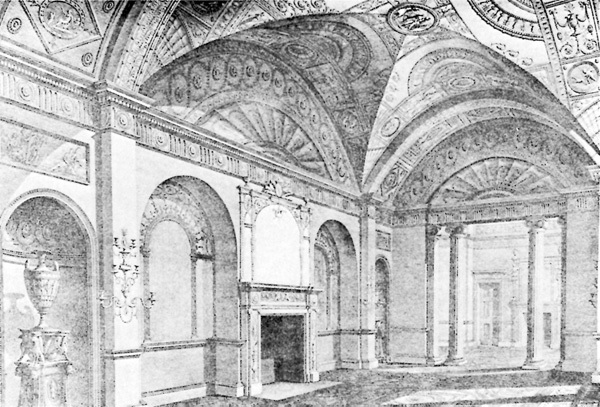 98 An Adam drawing room, Derby house, Grosvenor Square. 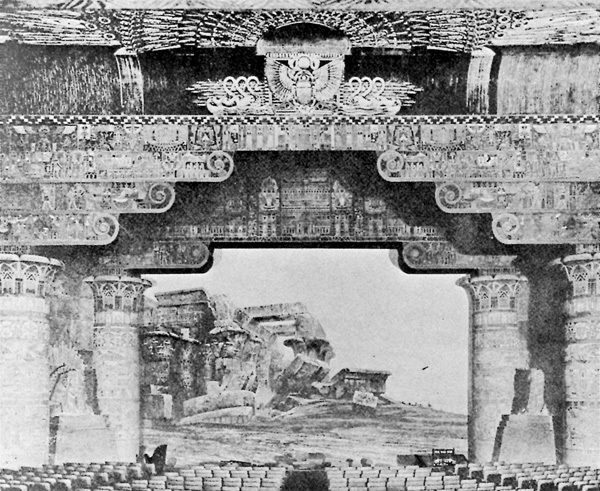 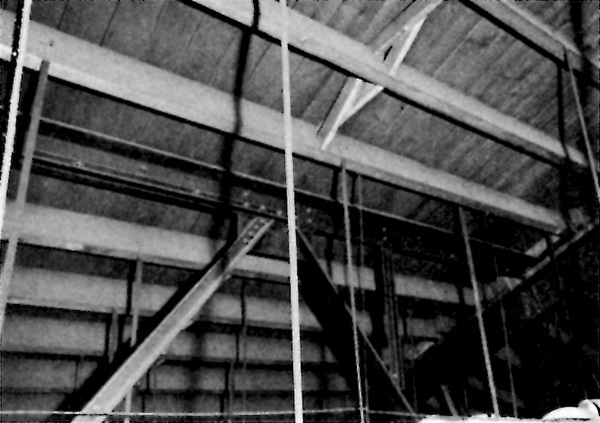 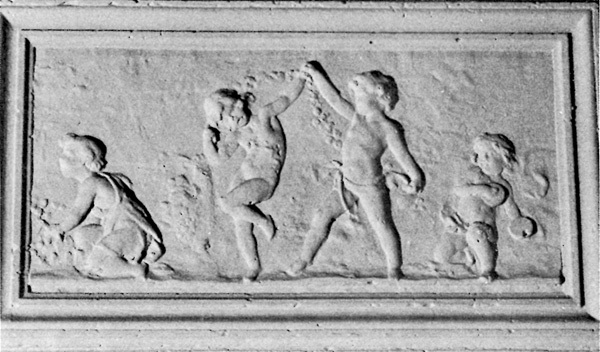 100 Side wall arch, Capitol auditorium. 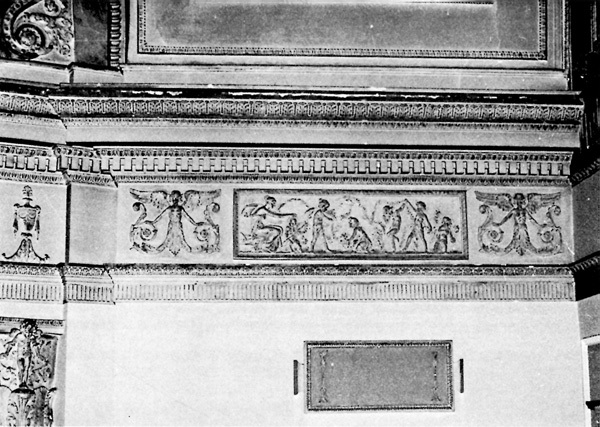 101 Adam-derived panel, Capitol ceiling. 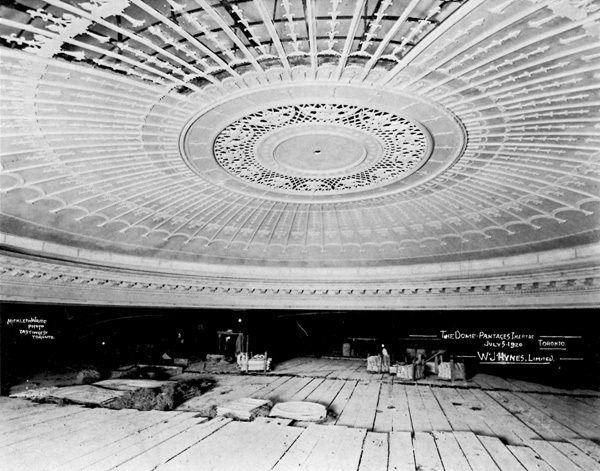 104 Grand foyer dome in the Capitol. 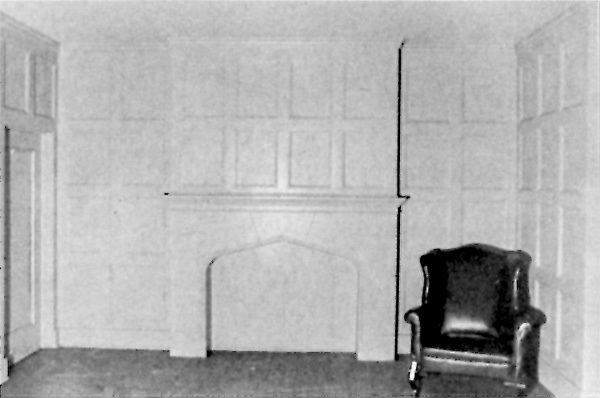 105 Music-making scene of the sounding board. 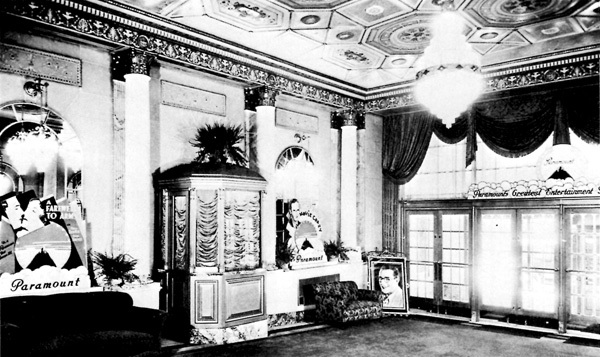 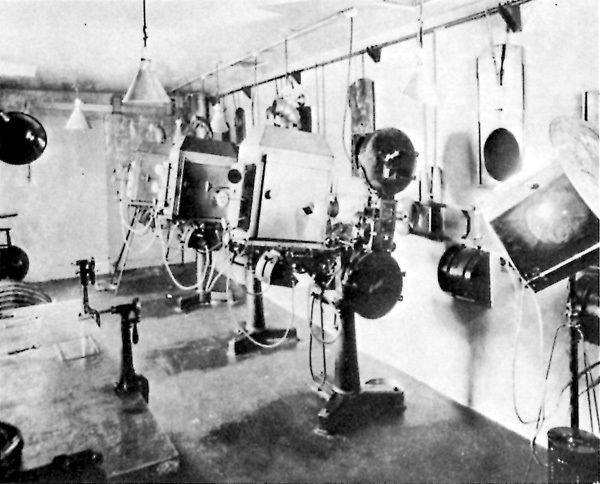 108, 109 Examples of movie palace furnishings. 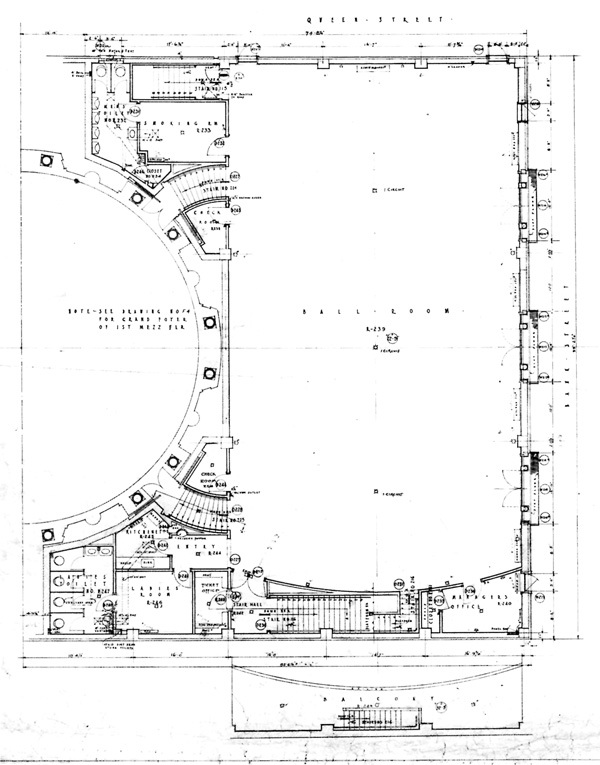 110, 111 Grand foyer furnishings in the Ottawa Capitol. 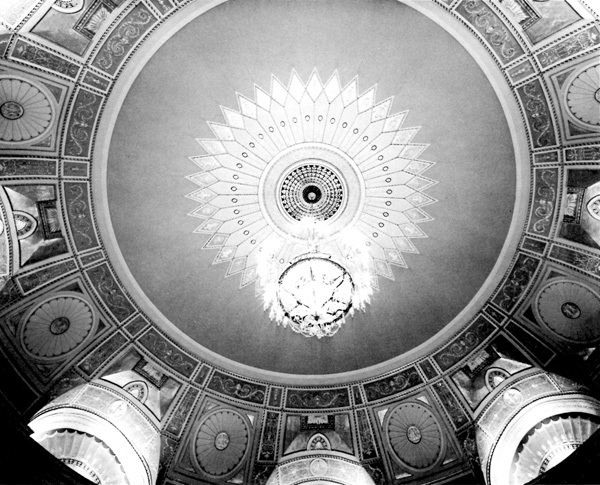 112 One of the Imperial Six, Toronto. 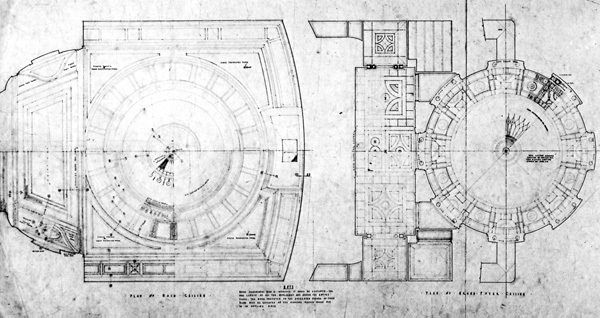 113 The Capitol's sounding board. 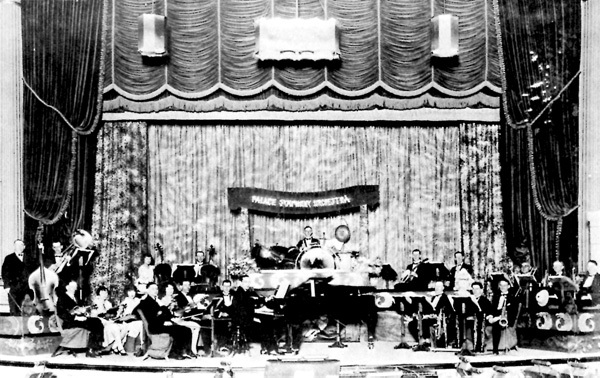 114 Orchestra of the Palace, Calgary. 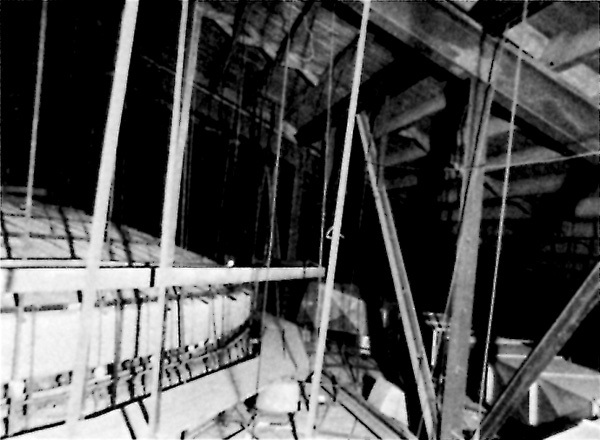 116 Access door to the organ loft. 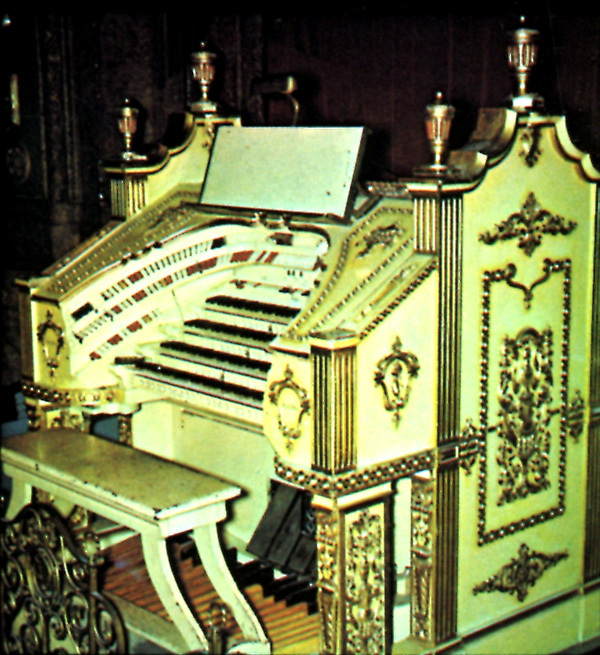 118 A Mighty Wurlitzer in the Portland Paramount. 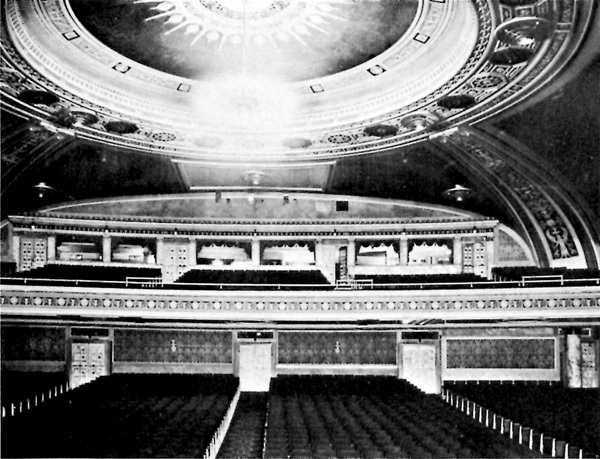 120 The State theatre, Syracuse, N.Y.
121 The State theatre. 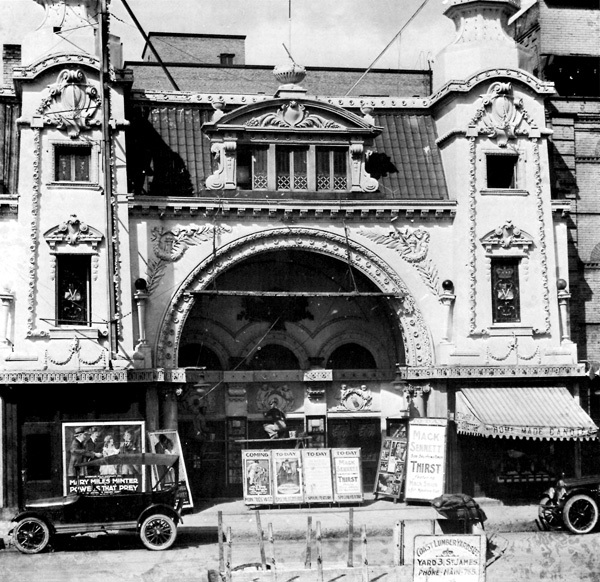 Kalamazoo, Michigan. 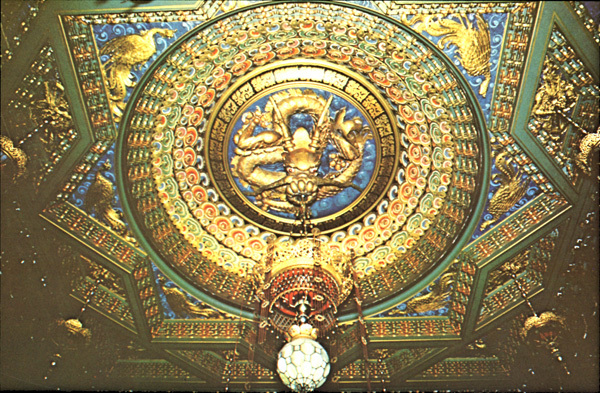 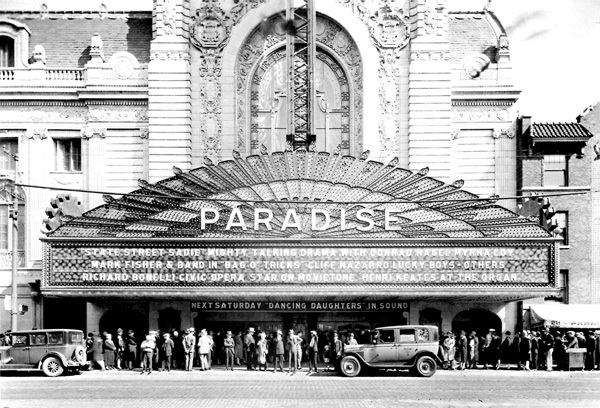 122 The Paradise theatre, Chicago. 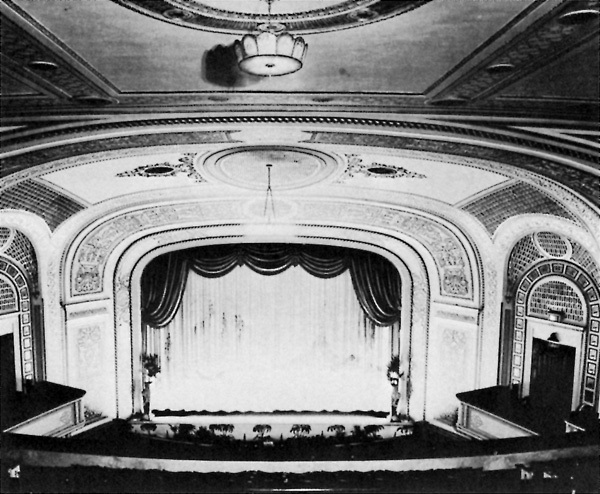 123 The Capitol in Saskatoon. 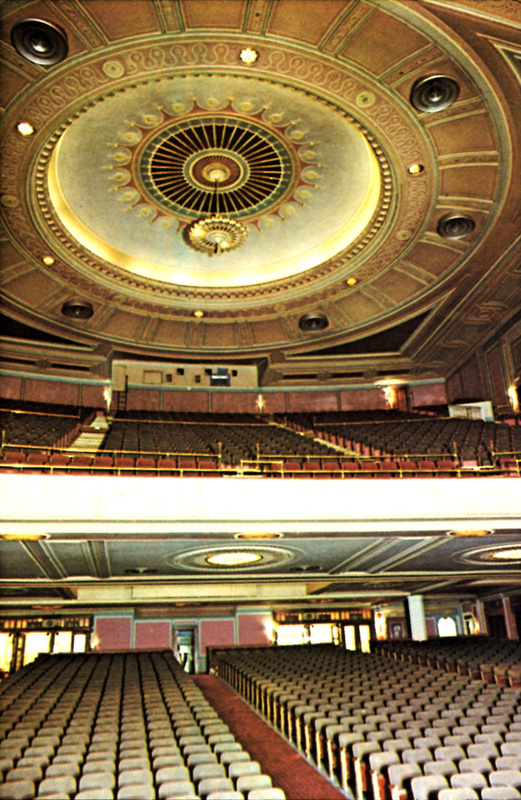 124, 125 The Capitol theatre, Halifax. 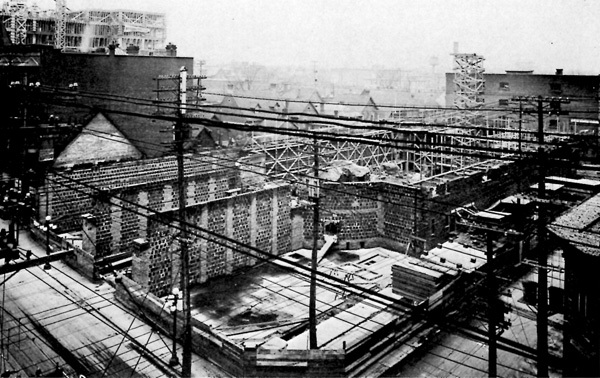 126 The Ottawa Capitol in ruins. 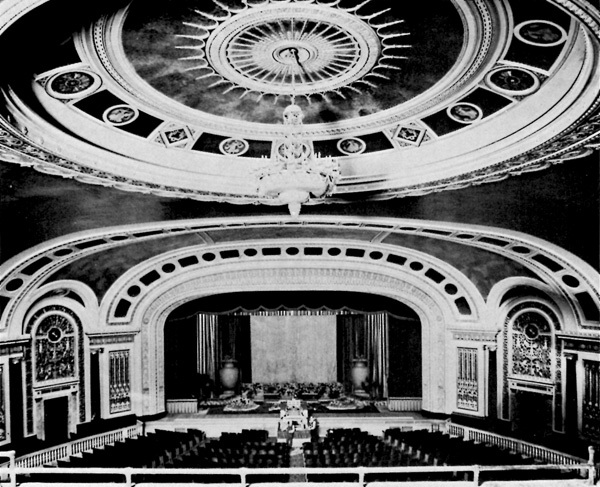 127 Interior view of the Russell theatre, Ottawa. 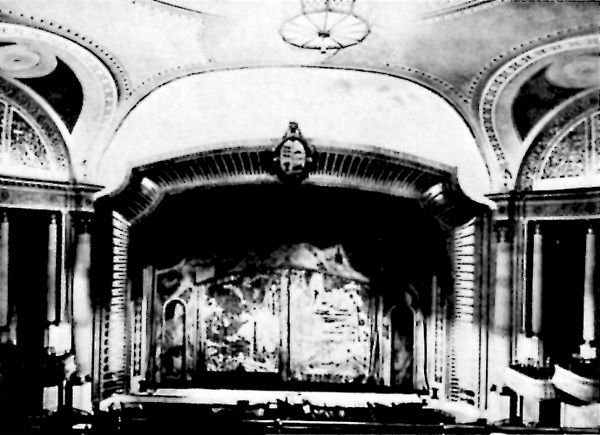 128 The Family theatre, Queen Street, Ottawa. 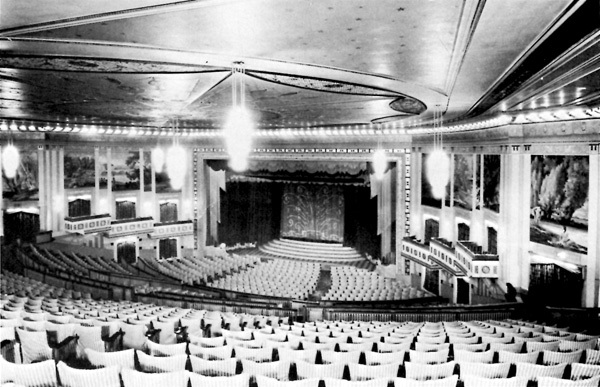 129 The Flower theatre, Sparks Street, Ottawa. 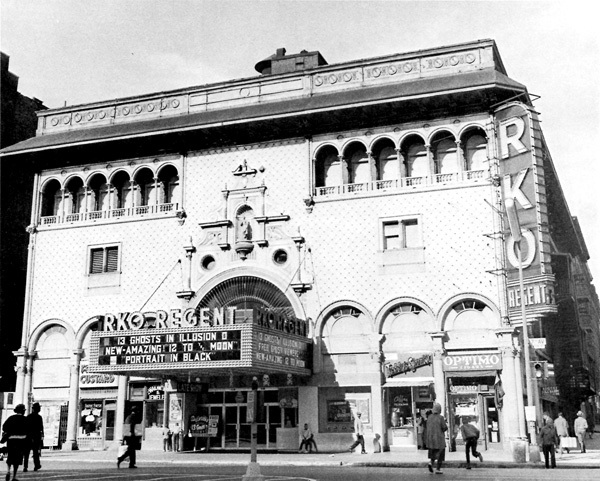 130, 131 The Regent theatre. 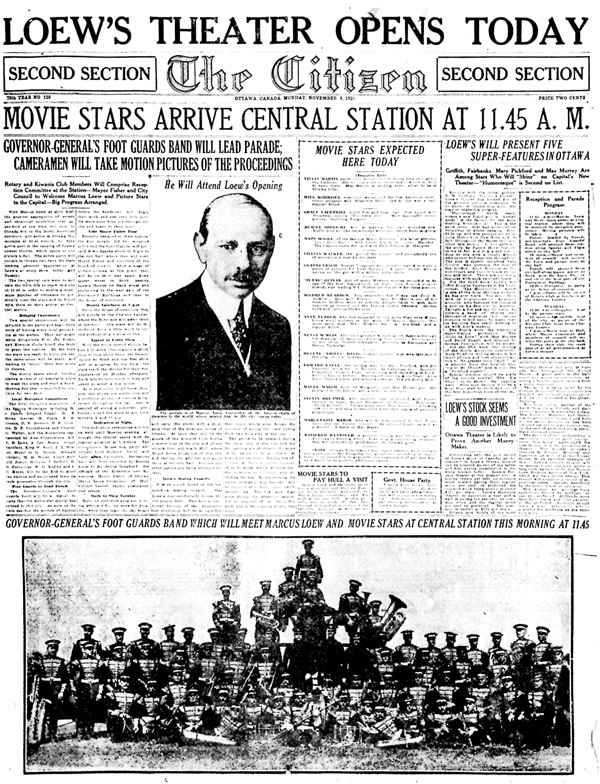 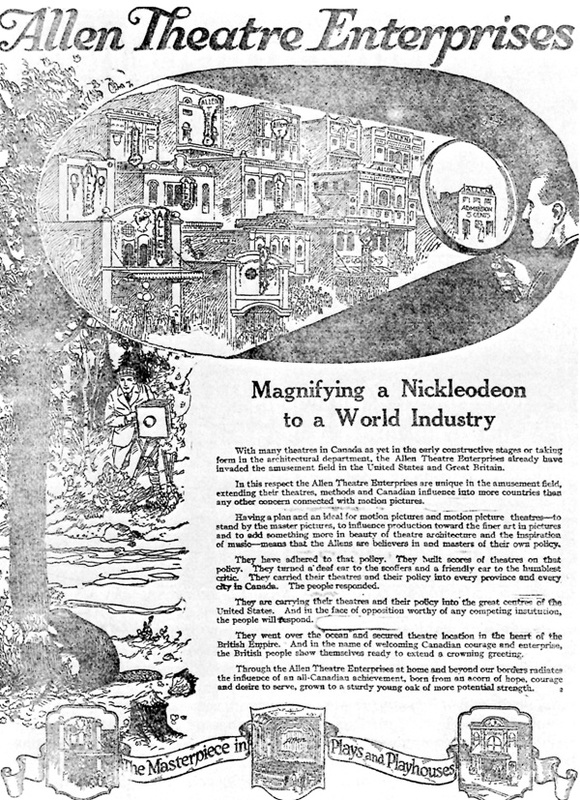 132 One of Citizen pages devoted to the opening.